We are all local experts who want to share the best of Japan with you! 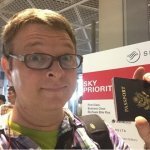 Japan can be a confusing place, ask us questions about food and culture! We make all the arrangements, you just have to taste and enjoy! Our team is what makes our tours so special. One look at our TripAdvisor page and you will see that our guests just love our talented, well trained, tour guides and support staff. Read more about our local experts below. Live in Japan? Want to join us? You can see our available positions here. Anne is the CEO and co-founder of Arigato Japan. She was born and raised in the Philippines. Anne majored in Airline Business Administration and Tourism. She has traveled to 44 countries between 2006 and 2016. 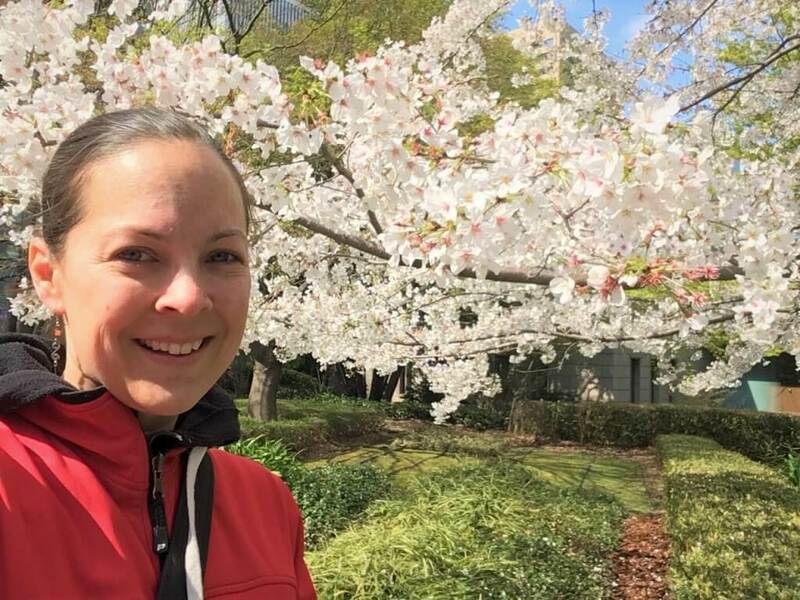 After living in Japan for almost 20 years, Anne founded Arigato Japan in February 2016 with tours in Tokyo, realizing her true calling to help make the experience of visitors to Japan the best possible. 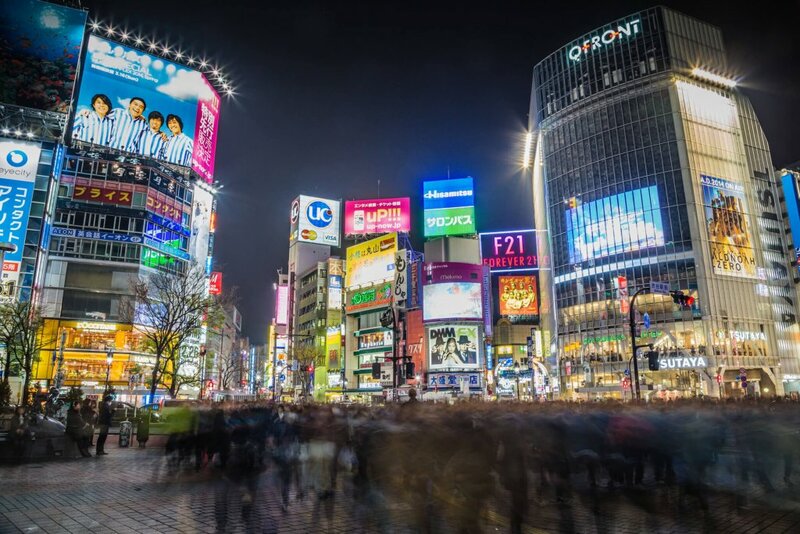 Arigato expanded to offer tours in Kyoto and Osaka within the first 6 month and Anne's dream is to offer an amazing food tour in each of Japan's 47 prefectures. Matthew is the Co-Founder of Arigato Japan alongside his wife Elizabeth Anne Kyle. He focuses on overall strategy, business development and compliance for the company. Matthew started his career as a professional basketball player with teams in Europe, Africa, the NBA and Japan. 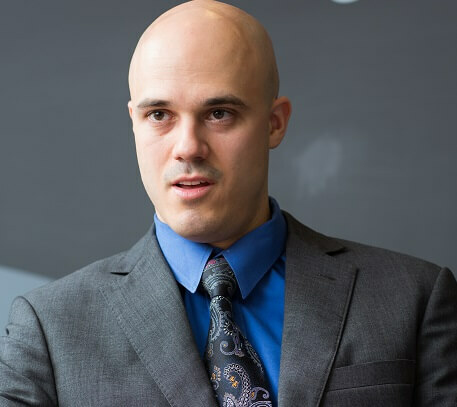 He switched from sports to professional services first with Ernst & Young in Tokyo, then with Tricor Japan going from Account Manager to Head of Sales, Marketing and Business Development over the course of 6 years taking them from 98 clients to over 560 when he left in the spring of 2018. He now focuses all his time on Arigato Japan while still keeping the door open for interesting opportunities. Favorite Japanese food = high quality sushi and sashimi. Ramona loves travelling, singing and creating new recipes by mixing Italian and Japanese food. She studied Japanese and Japanese Literature at The University Institute of Oriental Studies in Naples, Italy. Her passions are, and always have been, Japanese culture and food. Ramona ran a couple of restaurants in Italy before moving to Japan where, she lives with her husband. 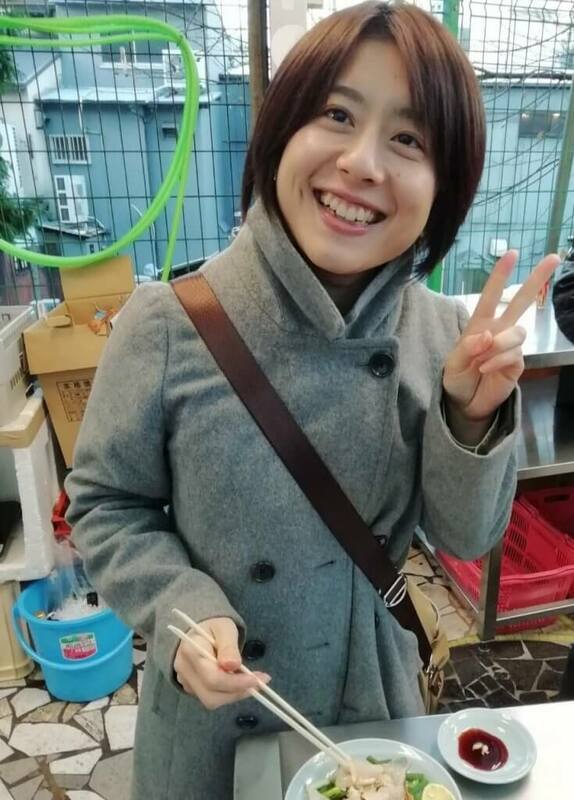 Her aim is to transfer to our guests the love for the Japanese cuisine, while helping them enjoy the sightseeing, discovering and understanding of many interesting aspects of life in Tokyo. Satoshi has a strong passion to share Japanese food culture and the history of Japan. He was born in Tokyo. He is also bilingual so there is no problem for him to communicate in English or Japanese. 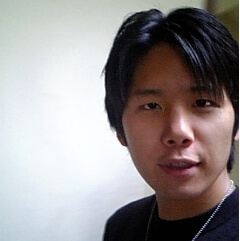 Satoshi loves gaming, manga, taking photos and he loves animals (especially dogs). One of his unique hobbies is that he is also a broadcaster and has plenty of followers! 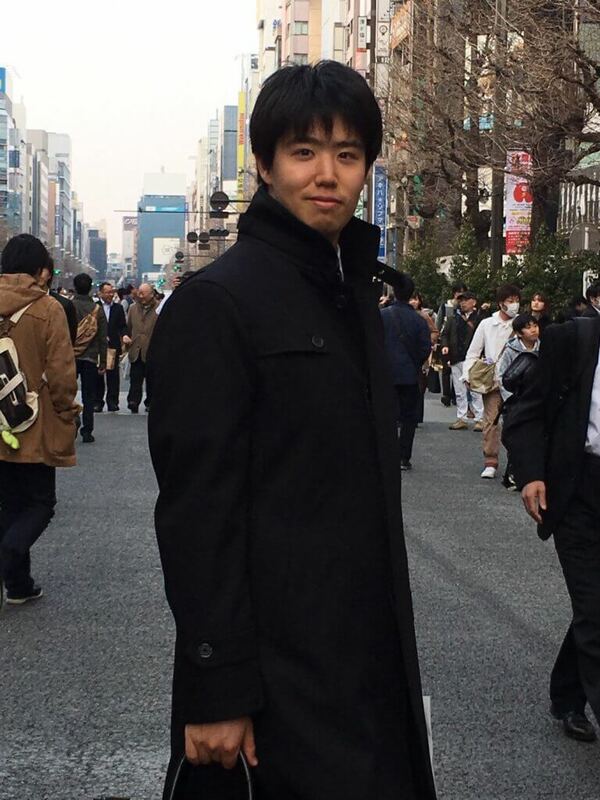 Satoshi actually knows the best fun, dating and hot spots in Tokyo. Ryan has lived and traveled to many parts of Asia and Africa. He likes baking bread, tinkering with and building computers, and using 3D software. He loves to explore different areas of Tokyo and eat at different kinds of restaurants such as Ramen, Yakiniku, Sushi, and Gyudon restaurants. He enjoys going to parks and cafes around Tokyo, such as owl and cat cafes! He also enjoys hanging around Akihabara and looking at all the different DIY electronics and computer parts available in that area. 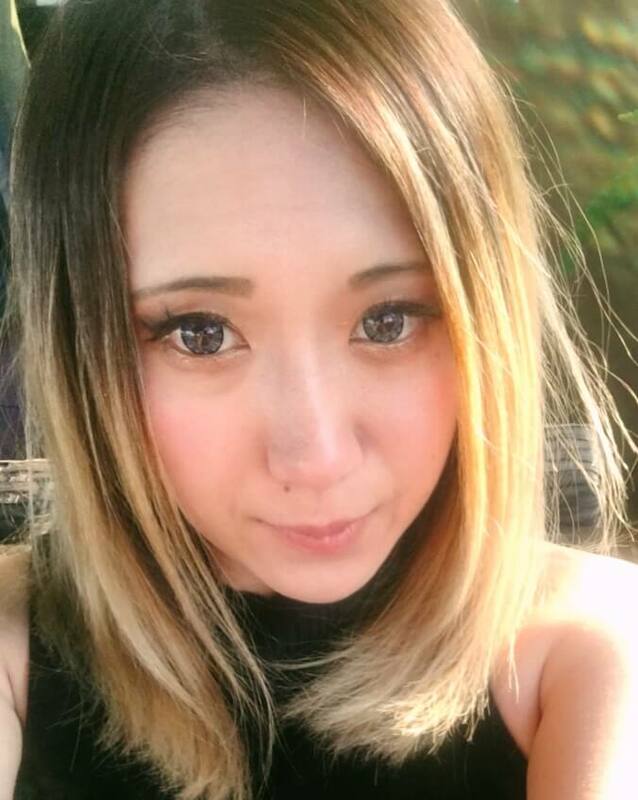 While Taena was born in Tokyo, she has spent most of her life in Australia. In 2016, she moved back to Japan and has fallen in love with her new home of Osaka. Taena believes that food isn't just about the flavors, food can tell a story about the history of a place, the culture and its people. And what better place to discover these than in Osaka, the 'Kitchen of Japan'!? 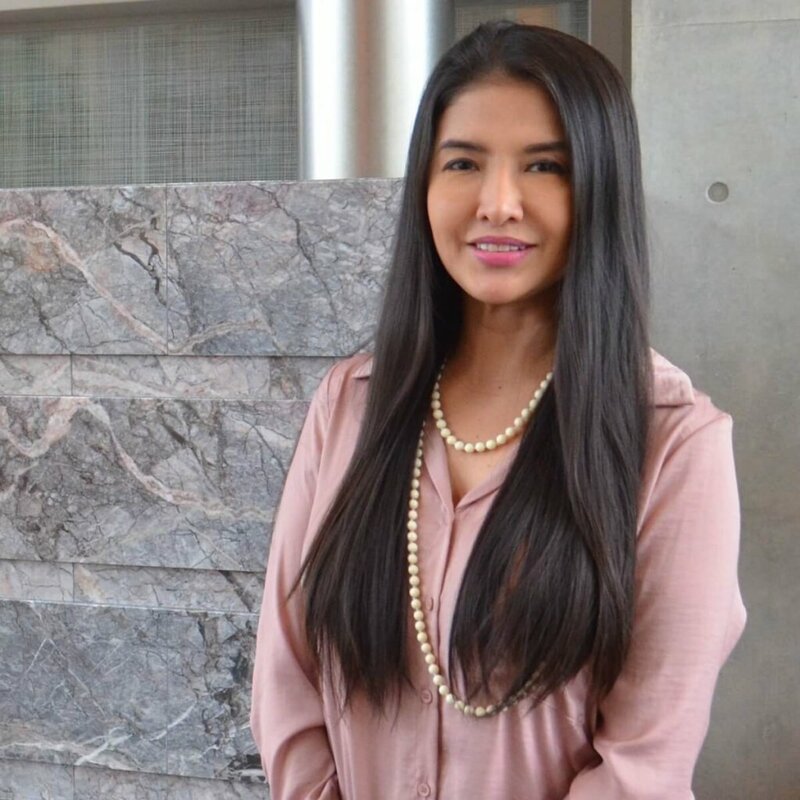 Food has helped Taena reconnect with her heritage in a new way and she looks forward to sharing that with you! Alexandro came from México in 2007. He immediately fell in love with Japan’s culture and food. 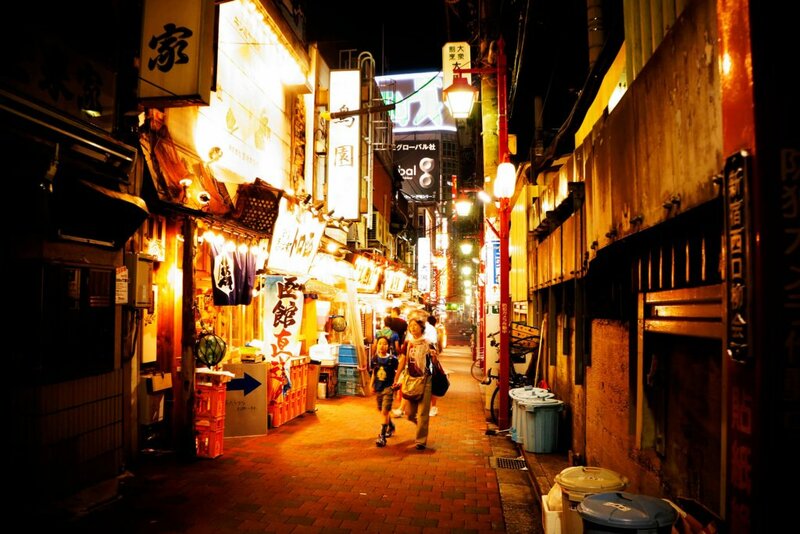 Because of that, ten years later came back and stayed, choosing Nakano area in Tokyo to live. Alex is a Spanish teacher, a model, performer, writer, painter & artist. 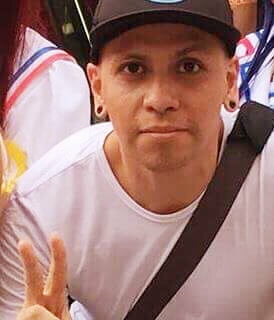 He loves books, movies, singing & dancing Latin rhythms, traveling, food & drinks, retro video games, languages and sharing Japan as much as possible with new people. 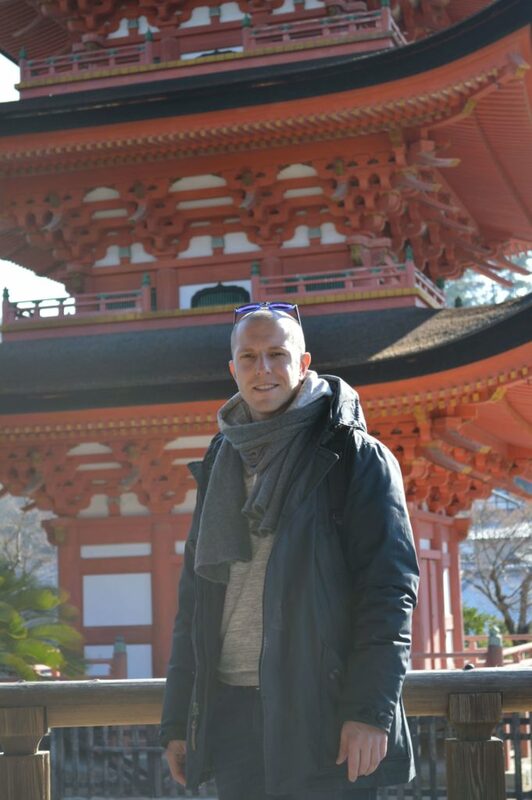 Alexandro is always very happy to share many Japanese curiosities and anecdotes with you! Yoko was born and raised in Hokkaido. She enjoys cooking, eating, traveling and dancing Cuban Salsa. 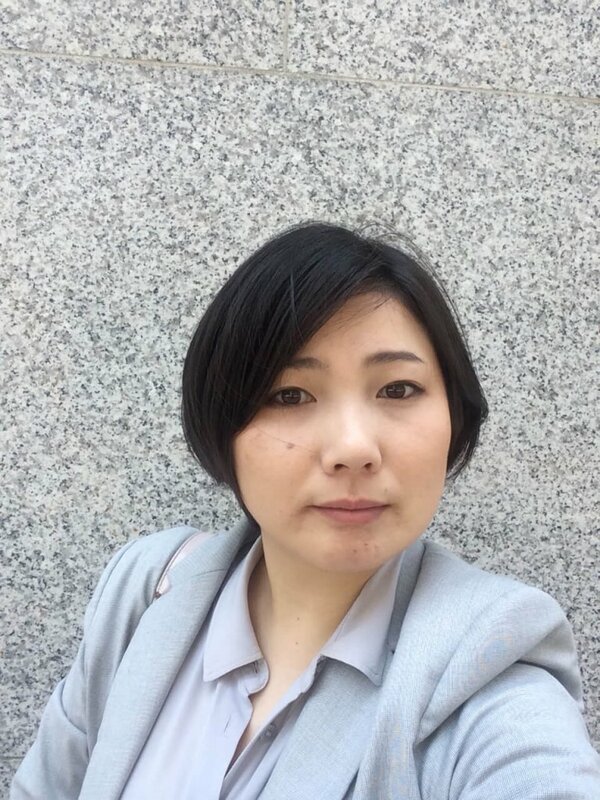 Her husband’s job has given her the opportunity to live in China and the U.S. Yoko recently came back to Tokyo and told us that she now learned to appreciate again how special and fascinating Japanese culture is. Yoko feels excited and honored to share her culture with you! 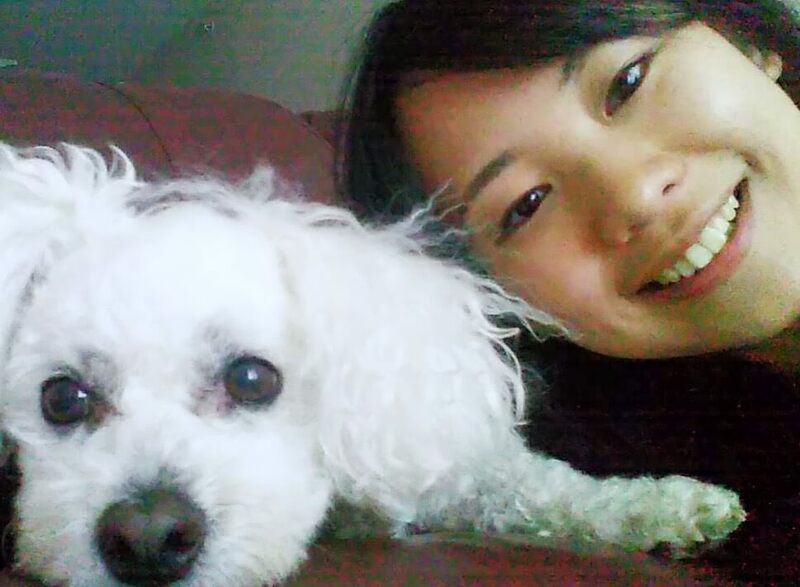 Mihoko is the newest member of our Admin team and an assistant to our CEO Anne! She loves eating in general but her favorite-- all kinds of sweets! Mihoko was born in Kamakura but moved when she turned four and lived in France, the Netherlands and U.S. due to her father’s job. 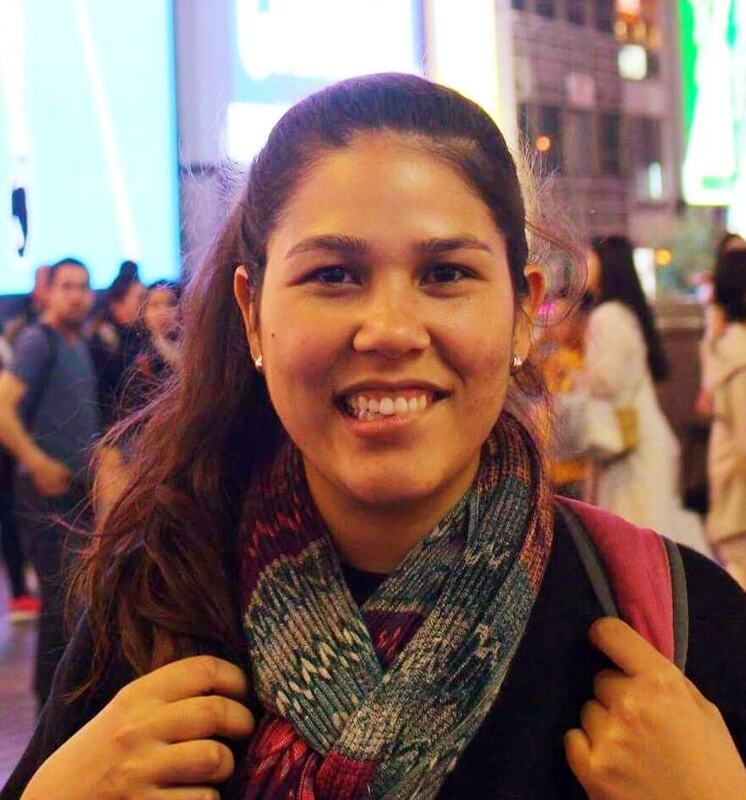 Not only she is a bilingual, but because of theinternational environment that she grew up, she loves all varieties of food from around the globe. Now she has two year old toddler at home in Kamakura who loves food just like her mama! Mana is half Singaporean half Japanese. She has spent 6 years in Australia and the rest of her time in Singapore. Mana has a Diploma in Pastry Arts and is currently pursuing a Culinary Arts Certification in Japan. She has travelled to Japan since she was young and has always loved to explore new places and have new experiences. She loves travelling, hiking and cooking! She is friendly and loves meeting new people. She is excited about sharing Japanese culture and food with you! Haruka was born and raised in Tokyo. She loves strolling around her home city from iconic sites to hidden back alleys to find good restaurants, unique shops, and pieces of history and culture. 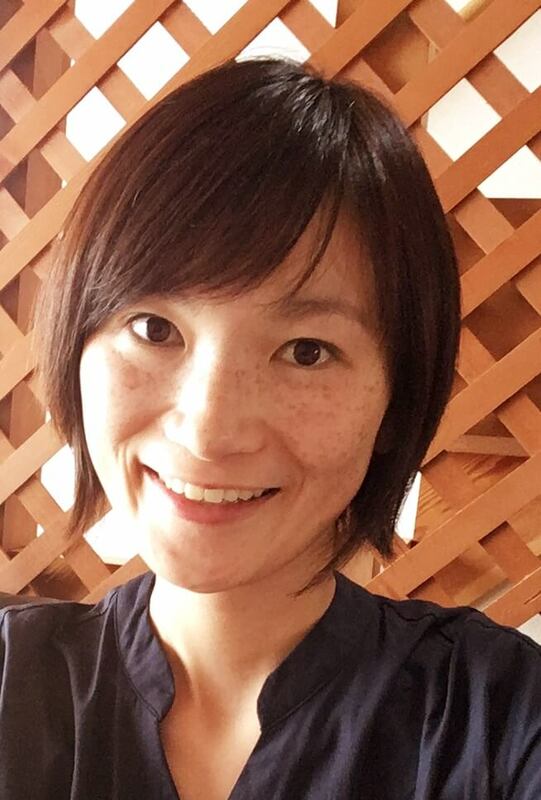 Haruka lived in Orlando Florida for the year of 2015, working at a Japan-themed store in Walt Disney World. 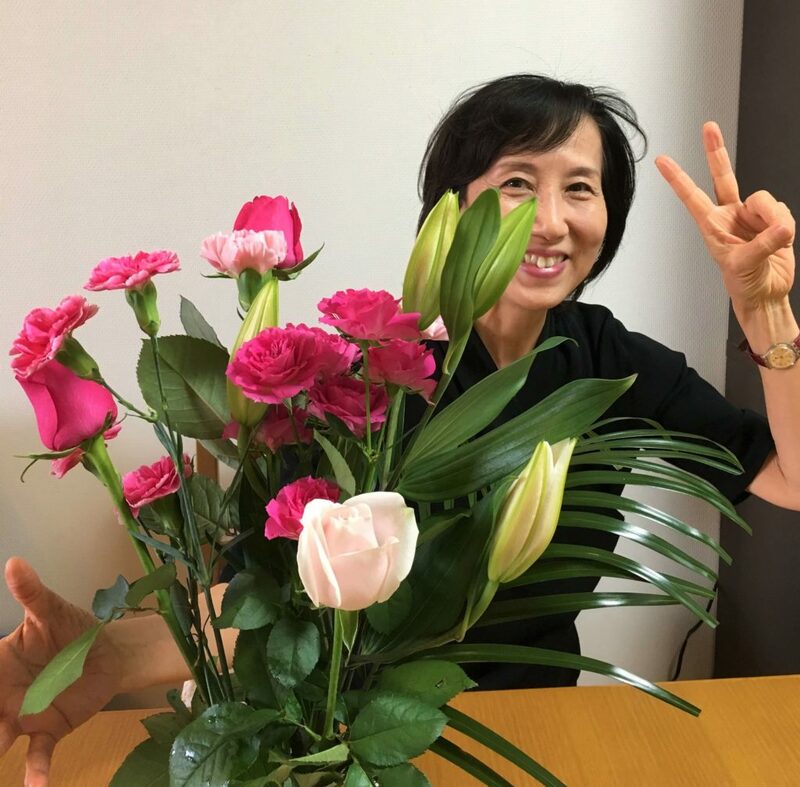 After her return, she started organizing tours and events for foreigners in Tokyo and enjoyed the opportunity to work with talented Japanese chefs, craftsmen and performing artists. She now lives with her husband from Hawaii who is also a foodie, discovering new favorite dishes every day. 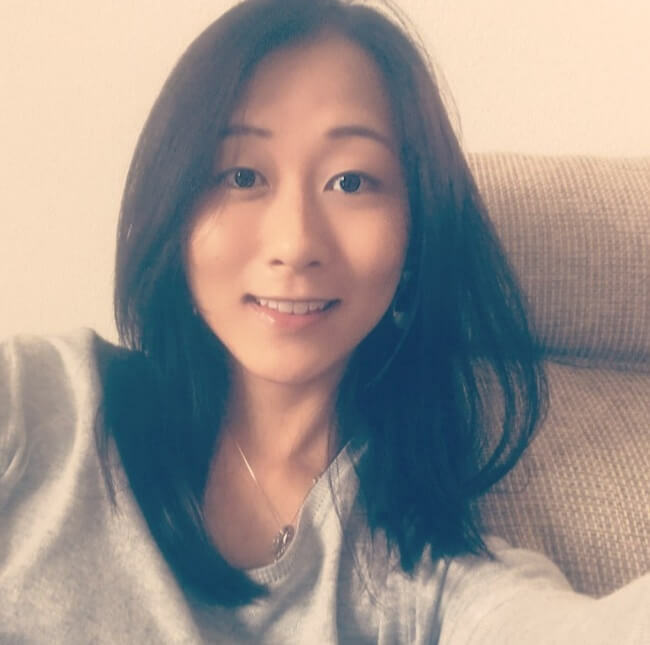 Maki is a Tokyoite with an international background - lived in Rio de Janeiro as a child for four years, worked in New York for a couple of years, and traveled to 30 countries around the world as a global marketing executive. 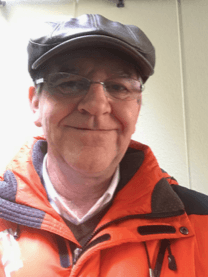 After semi-retirement, gained the national interpreter-guide license and now enjoys introducing overseas guests to Tokyo and other parts of Japan. She indeed has a wide range of interests – arts &crafts, architectures & gardens, history & culture, nature, hiking, travelling, etc. Among all, her biggest passion is cooking and eating good food. Lora is originally from New York but has been living in Japan for a total of 7 years now. When she isn’t exploring Tokyo or trying out new restaurants and bars of all kinds, she also volunteers at a cat rescue network that is based here in Japan to help out the animals in need! Her and her husband have since adopted two adorable kitties themselves. She also enjoys a good night of karaoke, either singing in English or Japanese, and fun with friends. She looks forward to helping you explore the wonderful city of Tokyo and the food it has to offer! 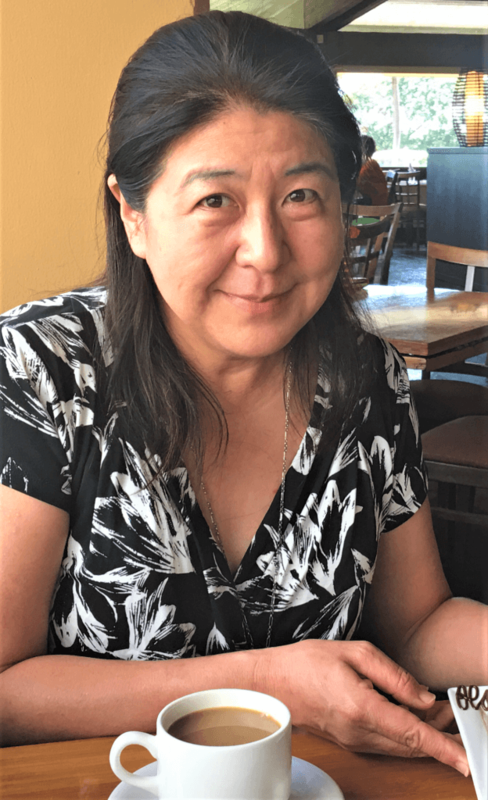 Norma is a passionate etching and woodblock artist, who came from Mexico to learn Ukiyo-e (one of the most delicate and oldest woodblock printing traditions in the world). She is a big geek, who loves anime, manga and learning Japanese. As a foodie, Japan was the perfect place in the world to explore, because of its amazing variety of flavors and textures. Her grandmother used to say to her: “The heart of the taste in food, comes from the emotions the cook puts into it”, so she has a special love for homemade dishes, but as a Mexican street food is a must. Her top 3 dishes are: tsukemen (a kind of ramen), nabemono (hot pot dishes) and sashimi. Benjamin was born and in the UK and grew up travelling for the majority of his early to mature life. When he was 20 he started to explore the many secrets of Japan and its amazing culinary history . He spent many years coming back and learning more about the seasonal and local cooking techniques of the different areas, then became a chef and travelled around the world utilizing the skills he had learnt. Now living in Osaka Benjamin enjoys the many hidden treasures of the food scene along with the culture that is hidden in the many layers of Japan life..
Koichiro was born and worked in Tokyo. After working for a subsidiary of an American software company, he moved to Seattle, Washington, to run a restaurant business. He was an owner/chef for 10 years of a fine French restaurant. Cooking is his specialty and he has a passion in eating and drinking. 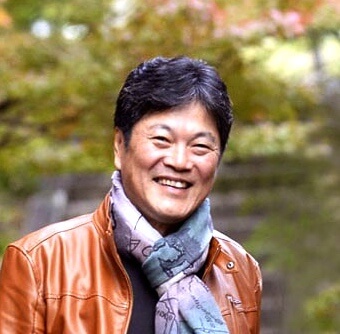 After retiring from the restaurant business, he came back to Japan and decided to live in Kyoto with his wife who loves beautiful culture of the ancient capital. It has been 3+ years since they settled in Kyoto. Besides his culinary experience, Koichiro is a photographer and a web developer. He enjoys taking nice photos of happy people and foods in Kyoto. Kay is a big foodie and a traveler! She is a Korean who grew up in Osaka and Tokyo. 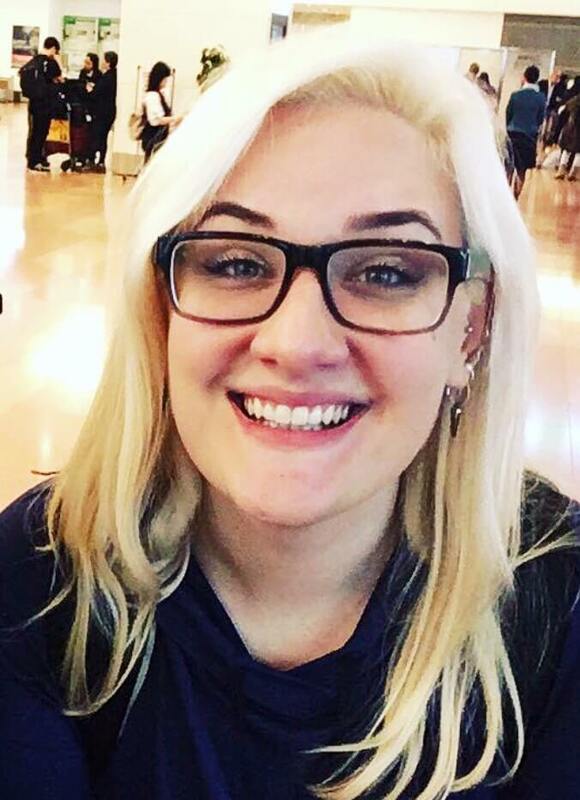 Kay went to college in the US., loves eating, cooking, baking bread (cakes, not so much), camping, hanging out with her Shiba Inu, and scuba diving. 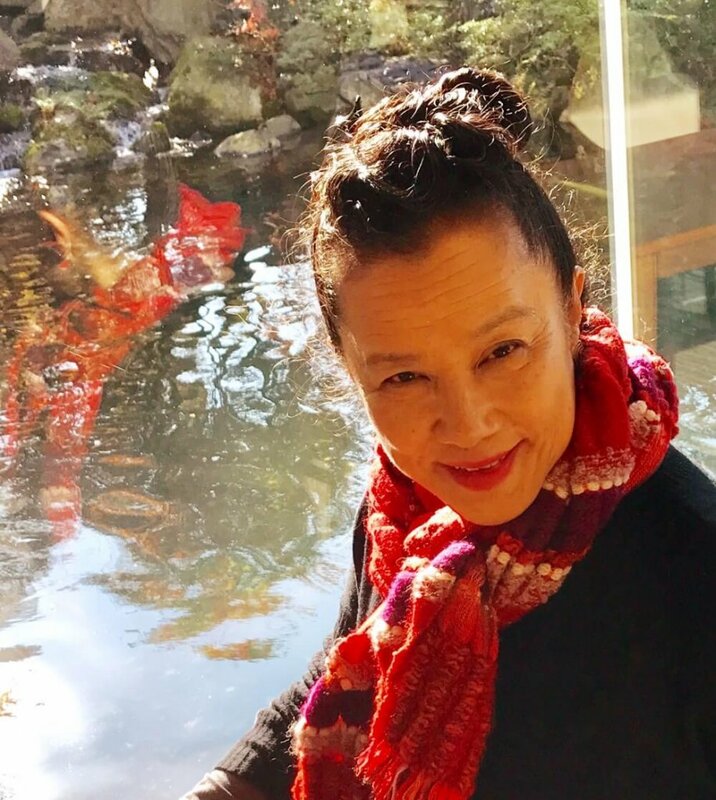 Kay makes her own fermented foods such as miso, plum wine and nuka pickles She’s visited 12 countries, and she always enjoys meeting new people around the globe, exploring new cultures and trying the local food. She’s very easy going and awaits the opportunity to share tasty food and a fun time with you!! Sergio was born and raised in Colombia. After finishing high school he went to Spain and studied Industrial Technical Engineering at Jaume I University. After graduating he worked and travel between countries, meeting different kinds of people, doing different kinds of jobs, until he discovered Japan’s culture and food and fell in love with it, at that moment he decided to go to Japan so he can experience them himself. Sergio’s favourite Japanese food are Sashimi, Sushi and Sukemen, his hobbies are Squash, reading, karaoke, and traveling and exploring Japan. Sergio’s an easygoing person and He’s looking forward to share everything he has learned with you. Hiroe has lived in Kyoto over 15 years. She is an architect and got her second master’s degree in New Haven, CT. Her interest went further beyond architectural practice, and she has recently finished her Ph.D thesis on sustainable living design. She believes eating, dressing, and traveling are the most important activities for sustainable human life. For the pursuit of her belief, food and travel means more to her career. As she loves cooking by herself and sharing happy moments, she has been excited about more discovery in food and travel as a guide. 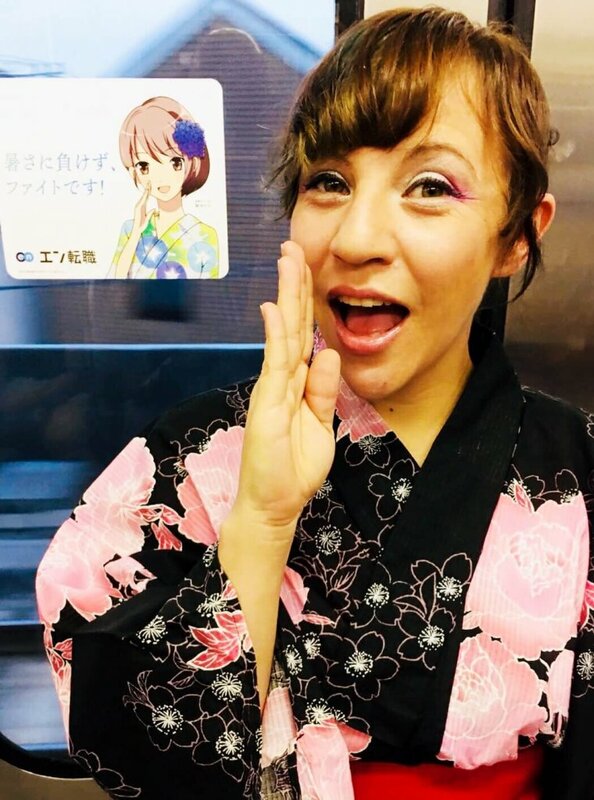 Gabi has been living in Japan since 2017, as a Nikkei she always wanted to live here to learn more about her heritage. She was able to combine that wish with her academic life, so now Gabi can be found both on the streets of Osaka and on Osaka University campus where she is taking a PhD course. For her, Japan has been wonderful and living in Osaka is amazing, she recommends everyone should experience Japan and it's culture specially through food, which she has learned to be a powerful way to get closer to locals. Yappy moved to Tokyo from Osaka 20 years ago. Since then, he has worked in the entertainment industry. 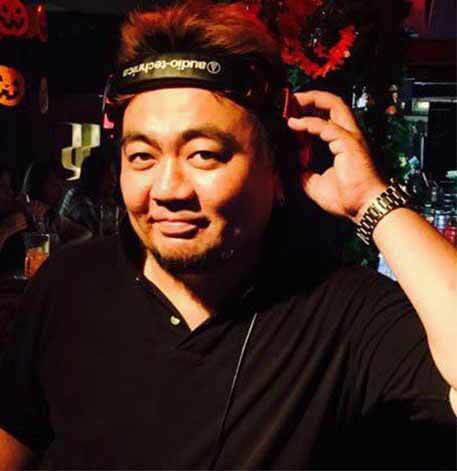 Working as a bartender and DJ he has the chance to use his Osaka dialect, and of course English too. 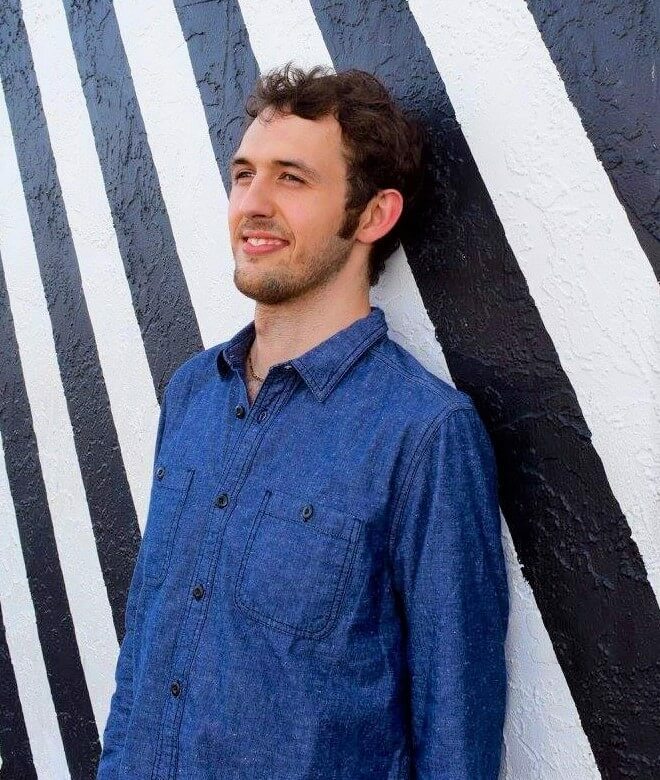 From 2015-2017 he had an Airbnb listing where he hosted more than 400 guests. This unforgettable experiences made him want to continue to share his love of Japan. Now that he has joined Arigato Japan Food Tours he hopes to help 400 more people explore Japan. 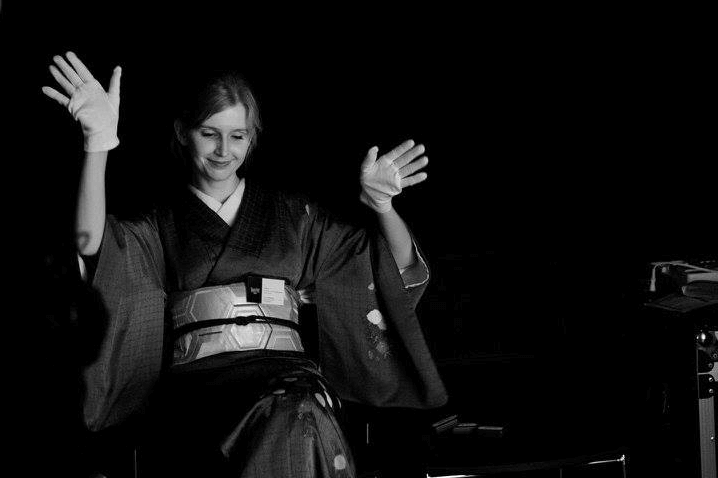 Kirsty originally studied Japanese (with a side of religion) at university in London. 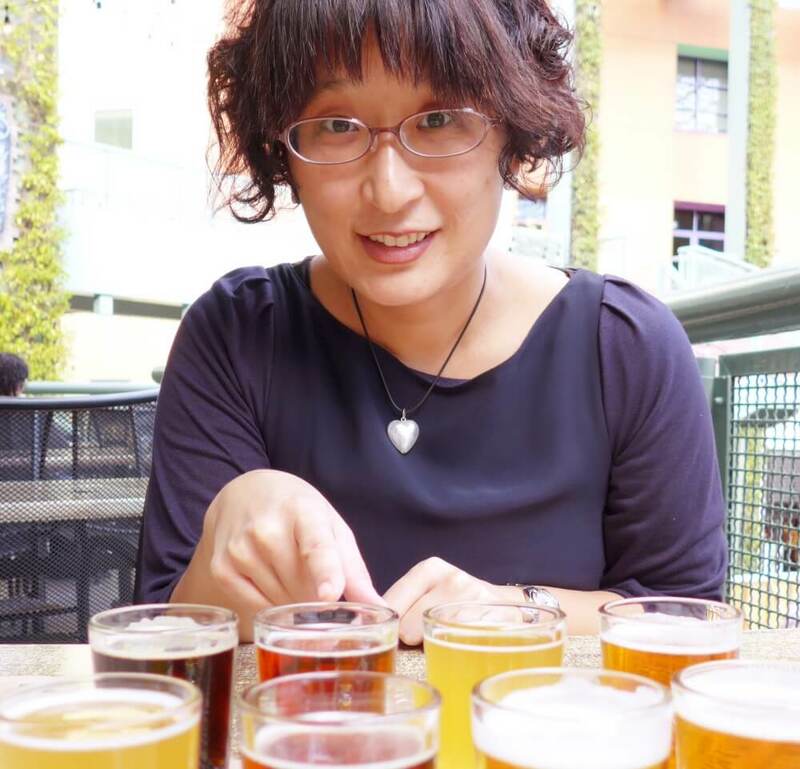 She wanted to be able to dive into Tokyo's culinary scene without any language barriers. 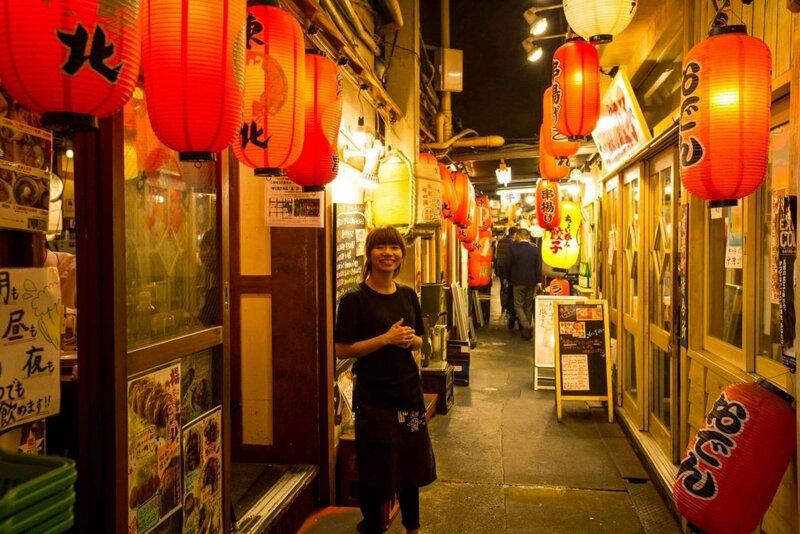 As a freelance writer and journalist, she's had plenty of chances to do so, and now tries to spread her love of Tokyo by showing off the city's best gastronomic spots to visitors and locals alike. You'll usually find her seeking out new places to eat, or cycling around town on an orange bicycle. Hugh has been a resident for 18 years over a more thirty-year relationship with Japan. Born in Sydney into an old Australian show biz family, Hugh opted in his late twenties to head off to Hiroshima, Japan where he immersed himself in the society and social fabric. 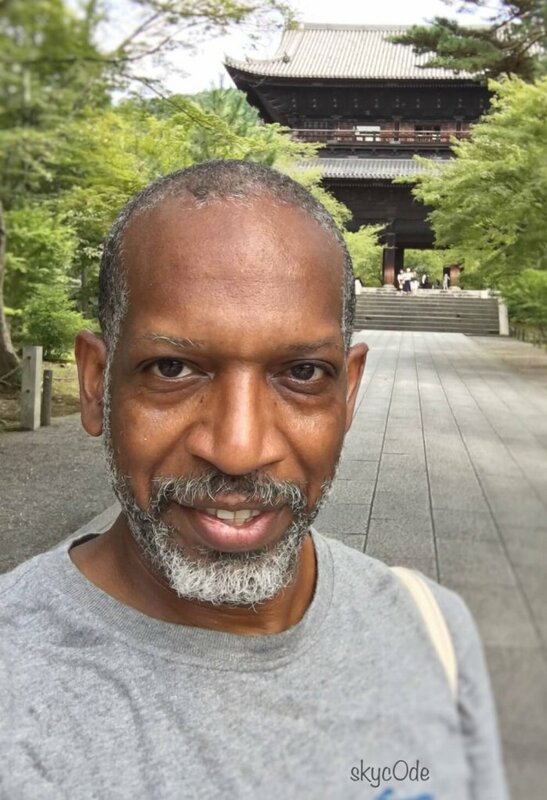 Hugh enjoyed studying the language and traditional culture, notably the martial art Aikido, Japanese calligraphy for which he has received various awards in both disciplines and cultivated a profound interest in and Buddhist teachings. He loves food and loves to introduce culinary culture as well as broader Japanese history, traditions and social phenomenon. Ibu grew up in Spain and lived in Barcelona, which has one of the most interesting takes on Japanese fusion cuisine in Europe. Since he was a kid, Ibu has been obsessed with trying every type of food, the rarer the better. He began cooking when he was 8 and later started working at his family's restaurant that specialized in Catalan cuisine. After that he worked in Scottish and in an Italian restaurants. 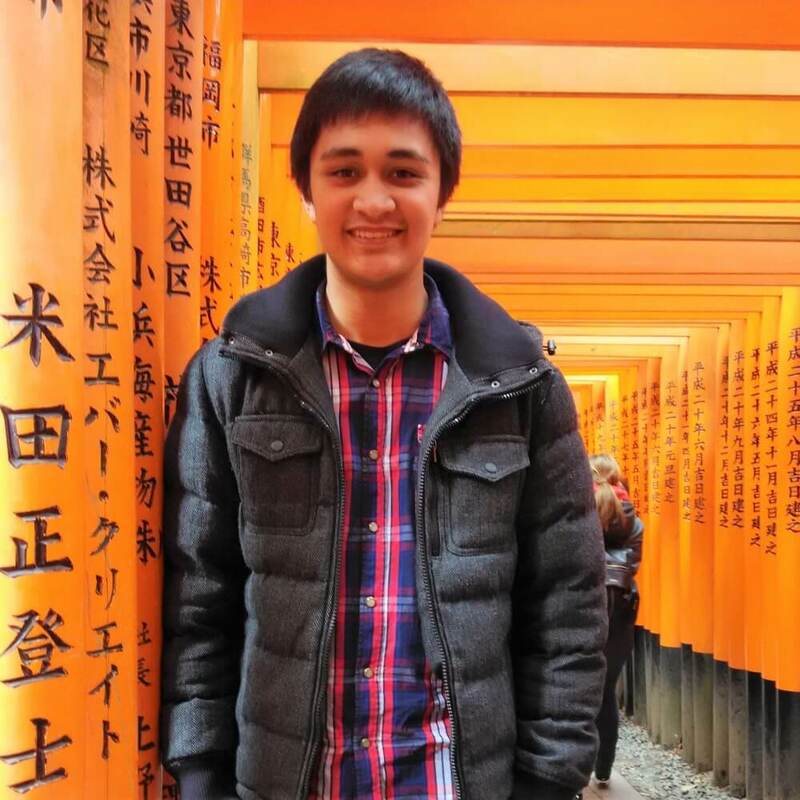 He decided to move to Japan to discover a country he has always been captivated by and to finish his East Asian Studies at University. Ibu is also passionate about craft beer, wines, rum, music, movies and he is excited to share his passions with you. Dario grew up in Italy. He used to live next to the city of love, Venice. Love from Venice eventually, brought him to Japan. His favorite food? Pizza of course. He was able to share his love of Italian food with the locals during his time working at an Italian restaurant in Hiroshima. He is excited to start a new chapter in his life and share his love for food and culture with others. Michie was born and raised in Tokyo. She attended college in Iowa for 2 years. She also lived in Hong Kong while working for an airline as a flight attendant. Her hobbies are tennis, skiing, and of course eating and cooking. Michie believes enjoying food is the best way to relax. She believes sharing good food helps people build relationships and understand other cultures. She is looking forward to enjoying good food with you. Yutaka Clarke Kawakami is a Japanese American who moved to Japan from America five years ago. Born in Zushi City near Kamakura he was raised in the state of New Jersey for most of his life. Yutaka want to be a bridge between Japan, the U.S. and all English speaking countries. He is determined to become a true global citizen and travel to around the world at least ten times. 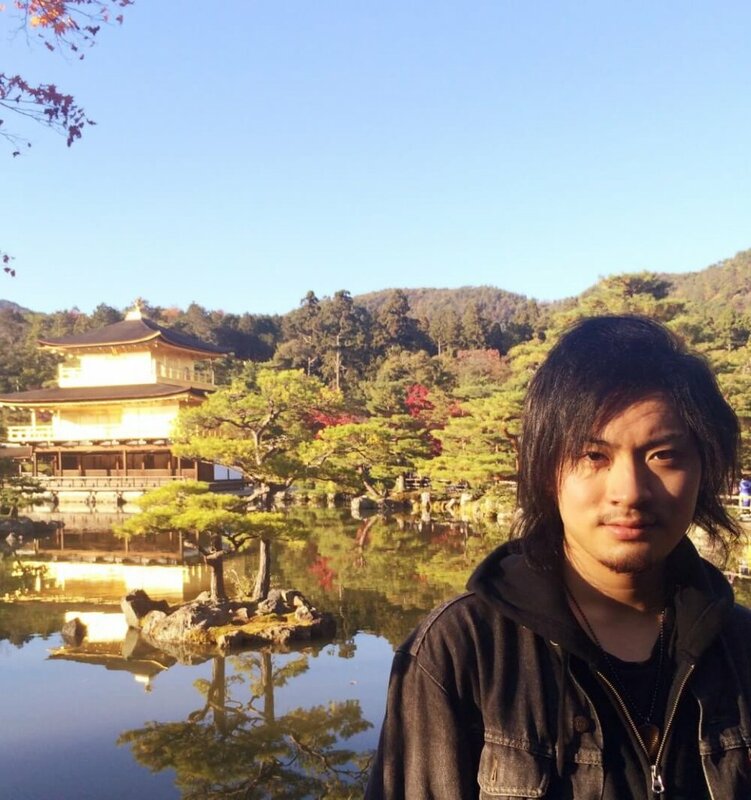 Yutaka is extremely eager to both share Japan’s culture and learn about other people's countries and cultures. 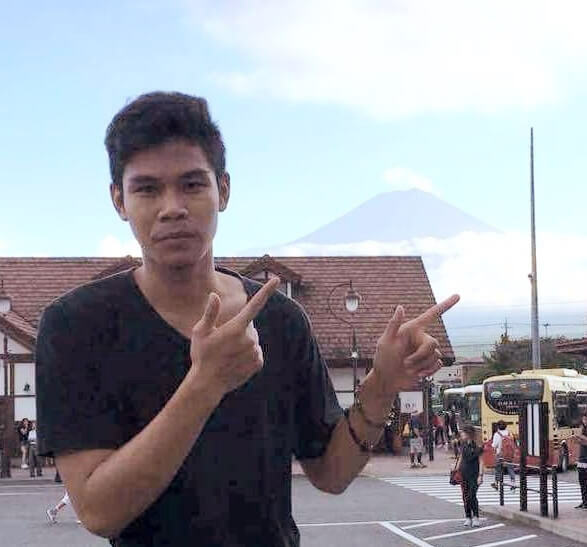 Abiyan is from Indonesian but has been living in Japan for the past 6 years. When he has free time you are most likely to see him playing his guitar along the Kamogawa river. Abiyan speaks Bahasa Indonesia, English, Javanese and, Japanese. He enjoys Japanese culture and loves meeting new people. He is looking forward to get meeting people from all over the world and sharing his love of Japan with them! 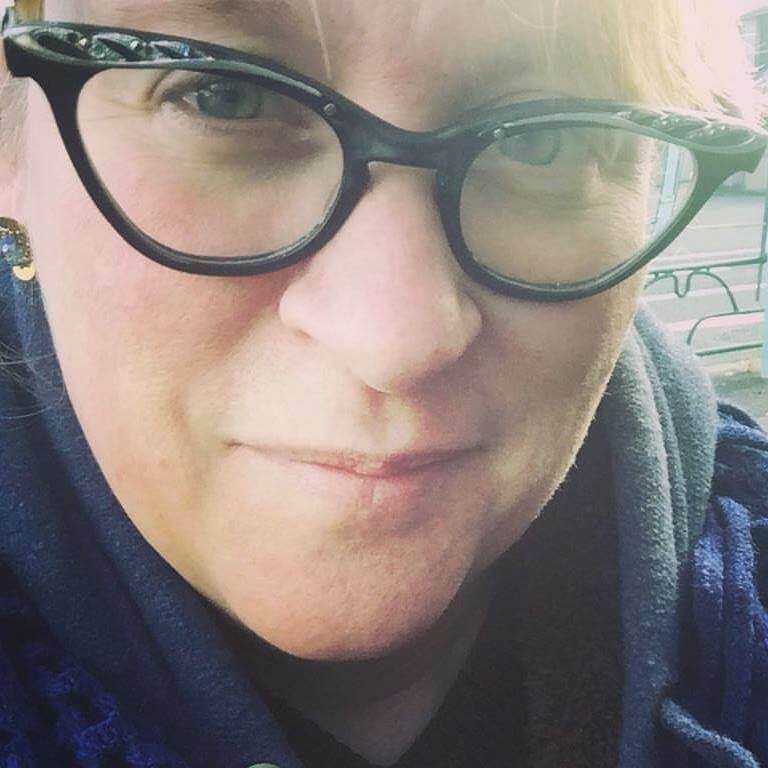 Originally hailing from the US, Mandy arrived in Japan in 2008 and has spent eight of the last ten years crisscrossing the archipelago, spending time in Kyushu, Okinawa and Tokyo. Now that she has settled down in Tokyo, she enjoys sharing her favorite parts of the city with visitors. Mandy's a huge fan of Japan's traditional sweets (wagashi), unagi (freshwater eel) and anything yuzu flavored. She's happily worn out multiple pairs of shoes exploring Tokyo's fascinating neighborhoods on foot. Yuko was born in Yokohama and raised in Tokyo. Until recently, she lived in Hawaii with her two children for 7 years. When she came back to Japan she brought the Aloha spirit with her. Yuko is happy to share delicious Japanese foods and interesting part of the culture so that guests can bring back wonderful memories. Josep is an adventurer, travel and fashion photographer based in Tokyo. He first landed in Japan in 2009 and decided to come back a few years later. Every year he likes to travel to new regions of Japan, searching for the greatest adventures including climbing Mt. Fuji. As any adventurer, he dedicates time to discover and try new flavors, interacting with the locals and finding the best spots and local foods. Josep's is favorites are fatty tuna sushi, tonkotsu ramen, and Noto beef sirloin steak. Lauren is our General Manager, she is a lover of food, wine, travel, art, and LIFE! She has lived in Japan a long time but is still discovering new things every day. 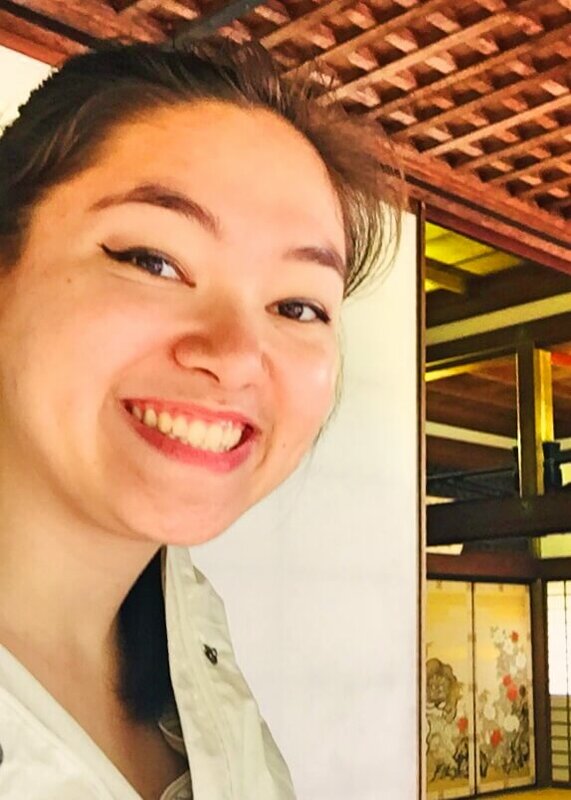 With experience in the restaurant business and travel writing in Japan, Lauren hopes to share her passion for Japanese food with visitors from around the globe on Arigato Japan Food Tours. 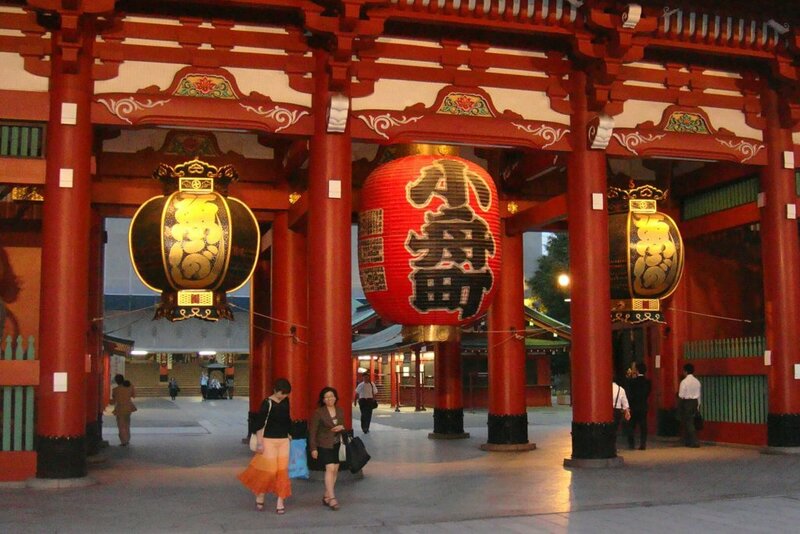 Asha, our Training and HR Coordinator, has been in love with Japan since the first time she visited in 2012. She loved it so much she visited 5 times before finally deciding to move to Tokyo. While she was away from Tokyo, she learned more about Japanese food and the culture by working in an izakaya (Japanese pub) in Toronto. 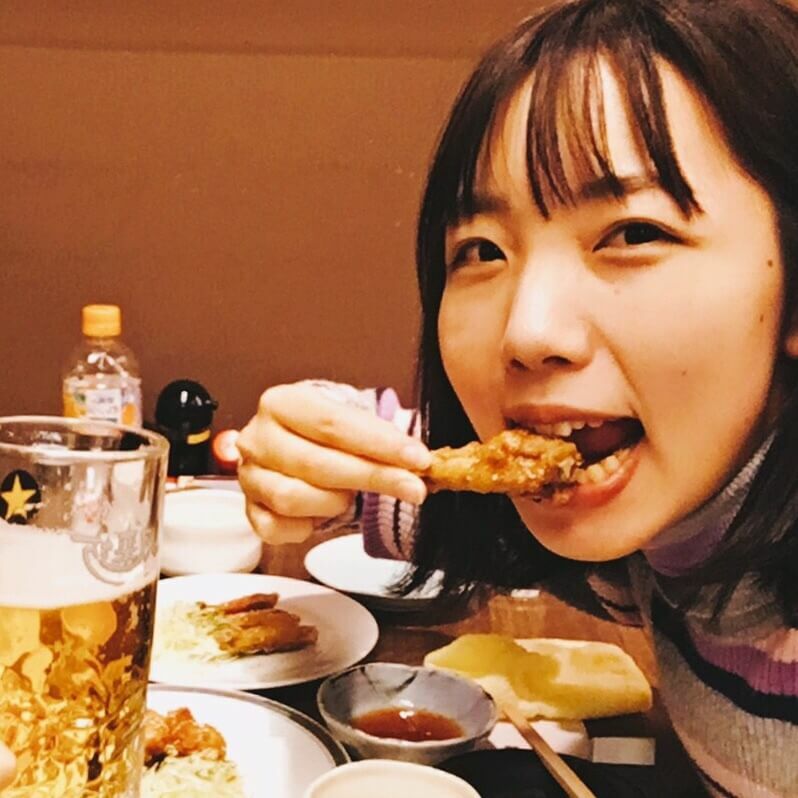 After moving to Tokyo she knew working with a food tour company would be a good way to combine her passion for Japanese food with what she learned while working at an izakaya. Aside from food she loves meeting new people and traveling. Josh first came to Japan in 1983, and lived in Sapporo for a short time. 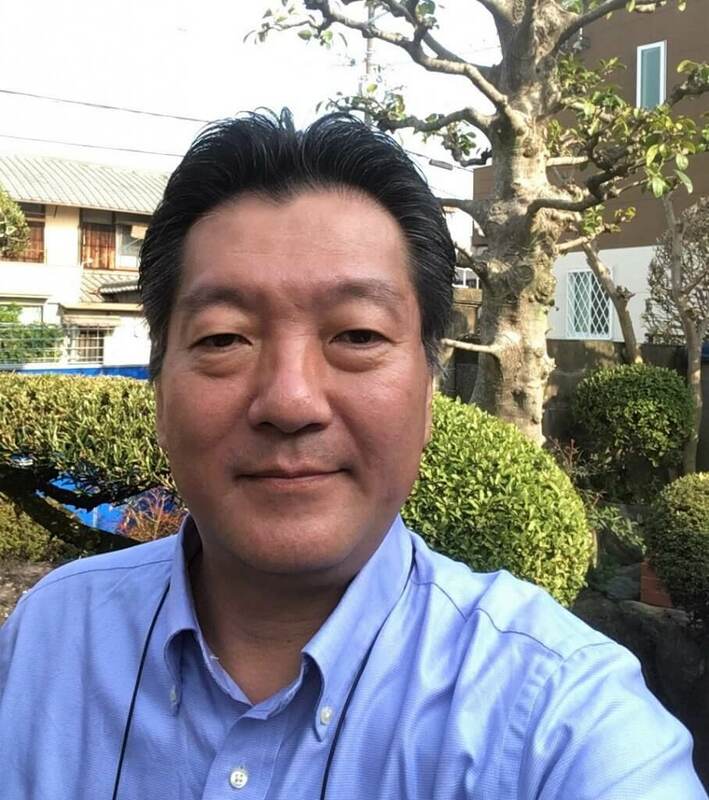 He has currently been living in Japan since 2005 and enjoys cooking, photography and travel, especially visiting Japanese onsen. 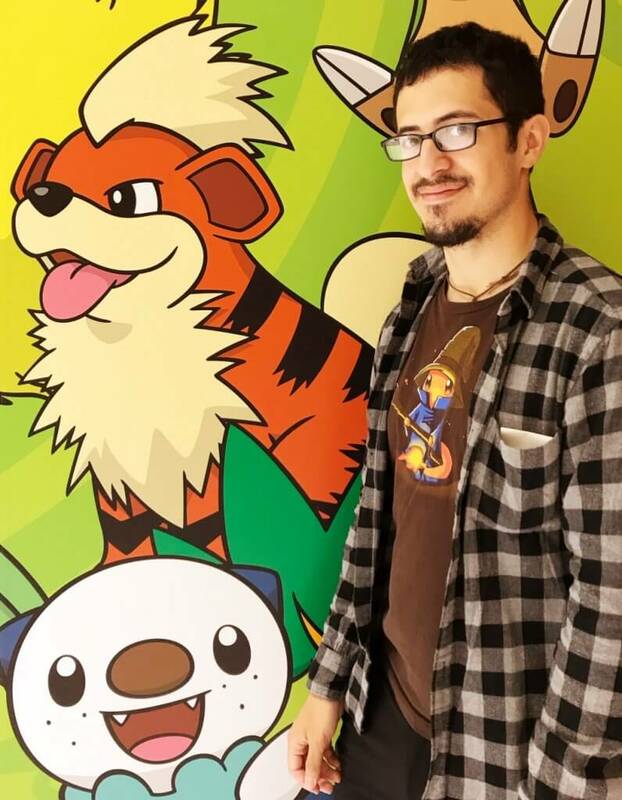 Josh has lived in Hokkaido, Ibaraki, Chiba and now Tokyo, and has travelled extensively around Japan. Being a techie, he loves to integrate the use of technology when travelling, using his mobile phone to board trains, planes and buses. He also loves Japanese festivals and meeting new people. His favorite food in Japan is from Hokkaido and called jingiskan. 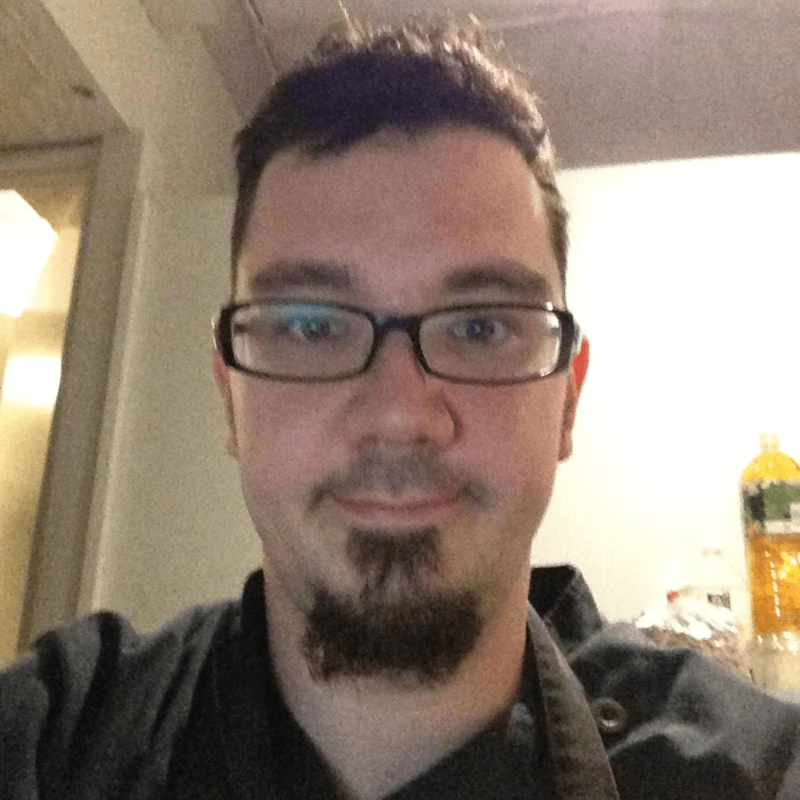 Josh is an expert on many parts of Japanese food culture, and he loves answering questions! Ask away! Tim is a Canadian who has been living in Japan for almost 5 years. He loves to cook and also works as a chef in Japan. Tim speaks French, English, and Japanese. He enjoys Japanese food and culture and loves experimenting with cooking Japanese style dishes and uses their unique flavours to create new foods. He is also a very friendly guy who likes to interact with people. 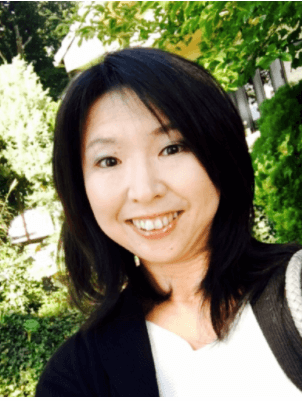 Yoshiko is a lovely, happy individual who enjoys travelling, music, and food. She is a mother of three, an English teacher, and loves to cook. Yoshiko is proud of Japanese cuisine and loves to share her food knowledge with friends from all around the world. Feel free to ask her any questions you might have about Japanese food and traditions! Claire joins the Arigato Japan admin team, she is an accounting graduate in University of Perpetual Help – Molino Campus, Philippines. Formerly Accounting Head for 8 years of Kc Industrial Corporation (Electrical company) and Chief Accountant of Rcpjc Corporation (Trading of Construction Supply Materials) and 153 Advertising Outdoor (Billboard Advertising) for four years . Claire loves to travel with her husband, family and friends to beautiful places inside the Philippines and to other Asian countries. Claire loves beaches and island hopping and snorkelling. 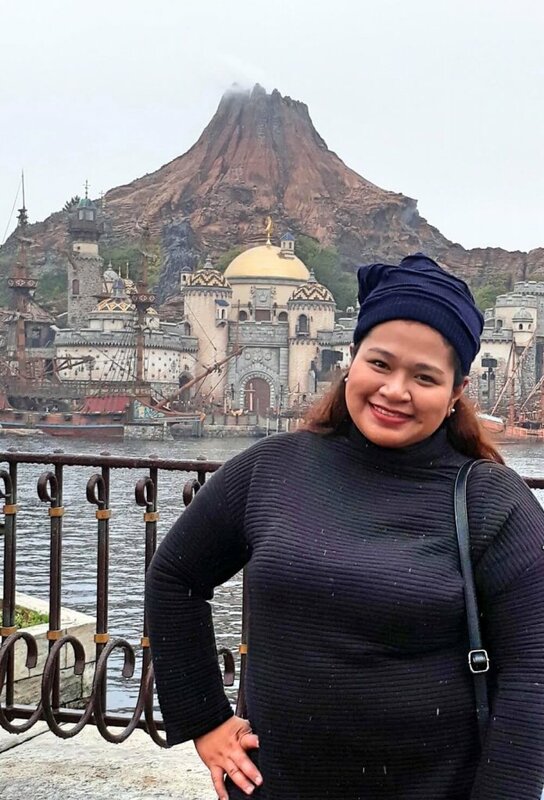 Enrie Aguila, who is originally from the Philippines, has been living in Tokyo, Japan for two years now. He migrated in 2015 and it did not take long for him to fall in love with this country. He finds Japan’s perfect balance between culture and modernity as something truly compelling. 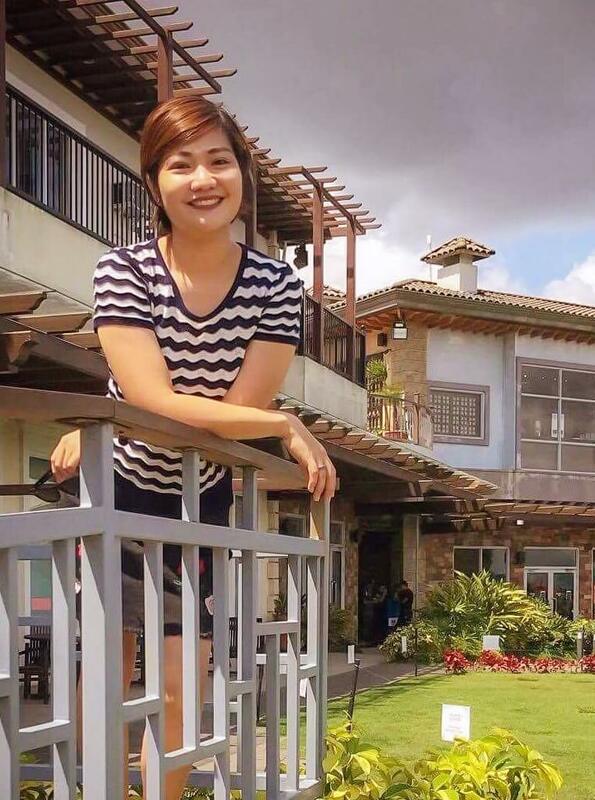 As a Communication graduate of De La Salle University-Lipa, Enrie finds joy in exploring new places and learning more about people and culture. 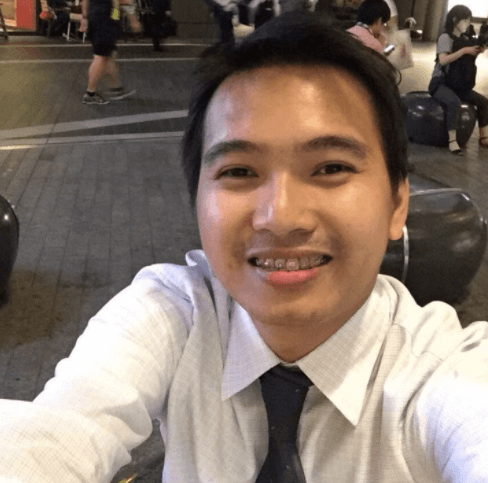 Currently, he is the Administrative Assistant of Arigato Japan Food Tour Co. and sees his job as an everyday learning process and a window to other countless opportunities. Chie was born and grew up in Kobe and has lived in Osaka for 15 years. Traveling and food are her passion. She is very picky especially about bread and sweets (she has a sweet tooth!) After living abroad and realizing that she had taken it for granted, she gradually has come to appreciate and like her own country including its culture and food. She is keen on discovering more about Japan her new friends from Arigato Japan. Jenkie was born and raised in the Philippines. 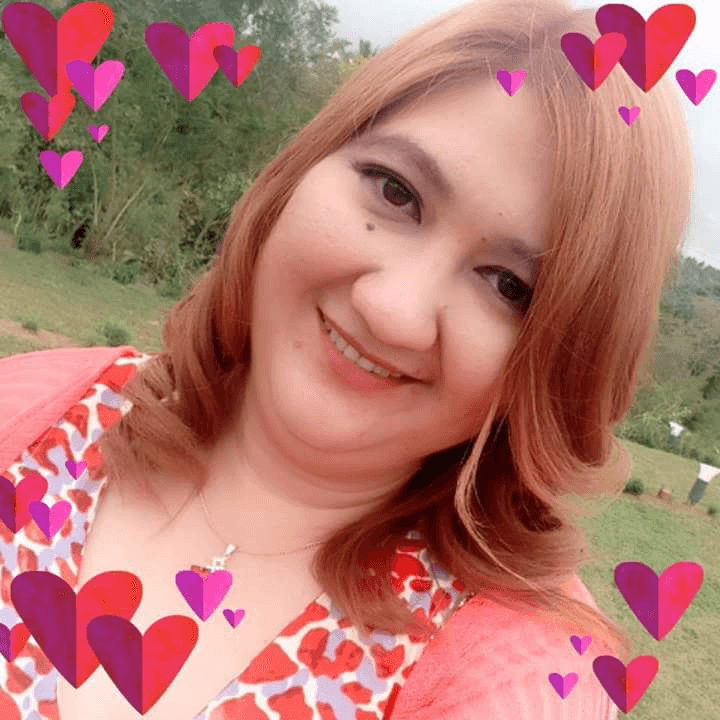 She is a Marketing graduate from PATTS College of Aeronautics, formerly Manager of Kirelis International for 10yrs, selling Health & Beauty Products and she joined Arigato Japan in 2017. Jenkie's hobby is watching toy reviews on youtube with her son and listening to music! Jenkie is a part of our admin team for Arigato and works hard to make sure our guests and guides have all the support they need. Erika is a foodie and travel lover! She lives in the Philippines, and travelling is part of her yearly goals. She does it not just to relax and have fun, also to learn new things and discover fun facts around the world. Shés been to Japan in 2017 for a short trip, and since then she fell in love with the beauty, food and culture of the country! 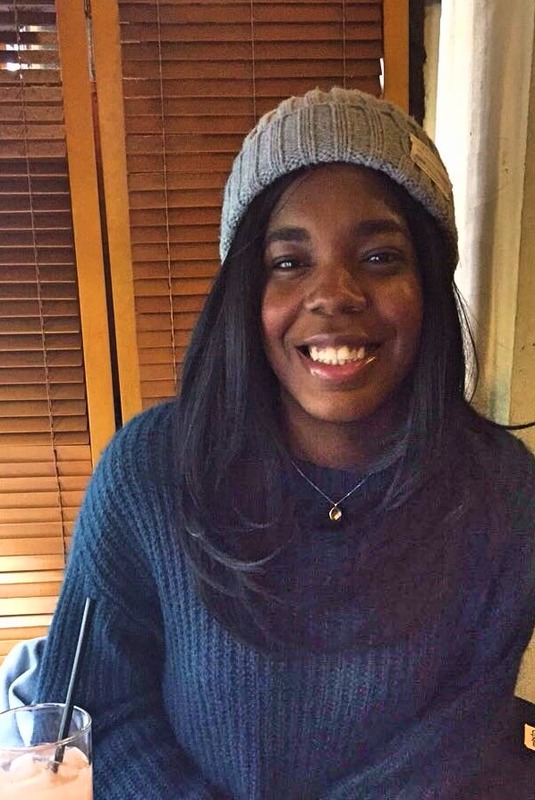 Erika loves to help her friends in making and arranging their travel itinerary, from ticket booking, purchasing which tours to take and managing tour expenses! She joins the admin team to offer her cheerful support for our guests and our guides! 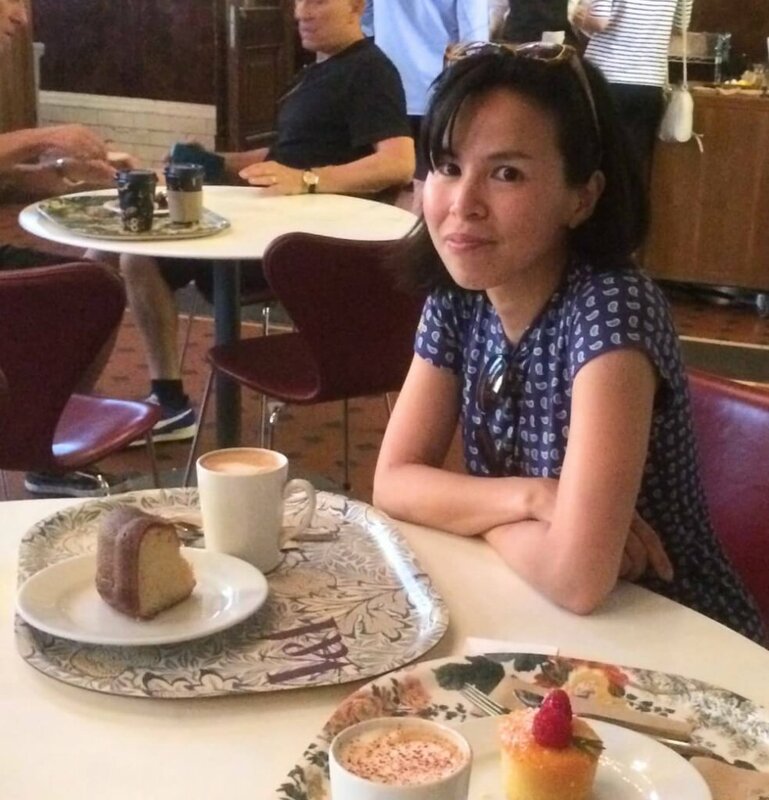 Asami is a true food and drink lover having spent her entire professional career in the restaurant industry. She is originally from Japan but lived in the United States for nearly 10 years. Asami has worked in multiple high end restaurants on the famed Las Vegas Strip. Her true passion in life is sharing her knowledge of both food and beverage with those around her . She has a special interest in sake through countless years of studying, which allows her to pair sake and food together much like a wine sommelier would pair food and wine together thus creating a memorable experience like no other. An undeclared foodie, Mario initially came to Japan to pursue his graduate studies after doing trade promotion for Japan in the DC area. Now fluent in Japanese, curiosity and a passion for food and (craft) beer fuel his passion as a tour guide. 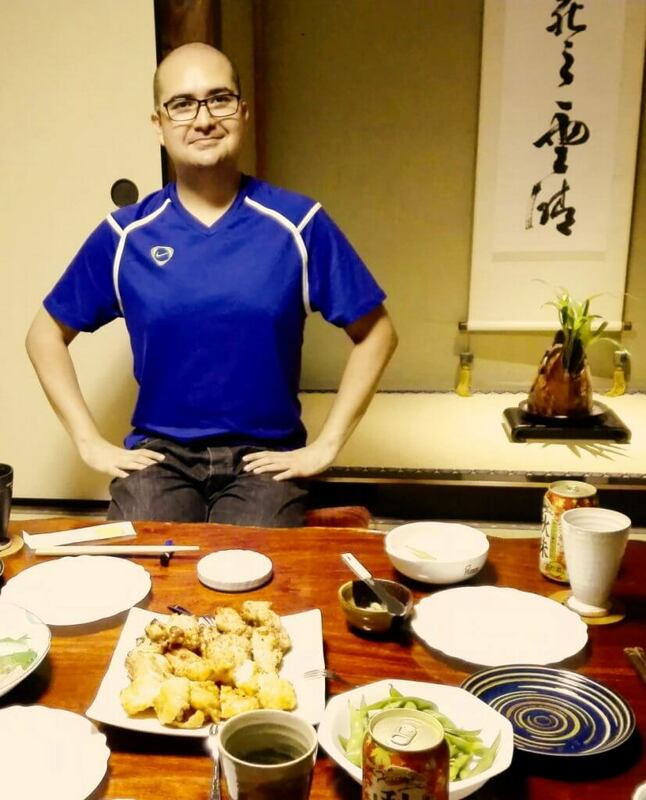 He is looking forward to re-discovering Japan through the eyes of visitors, while sharing his unique perspective on the local food scene and culture. Jessica is Arigato Japan's Marketing, PR and Sales Manager. 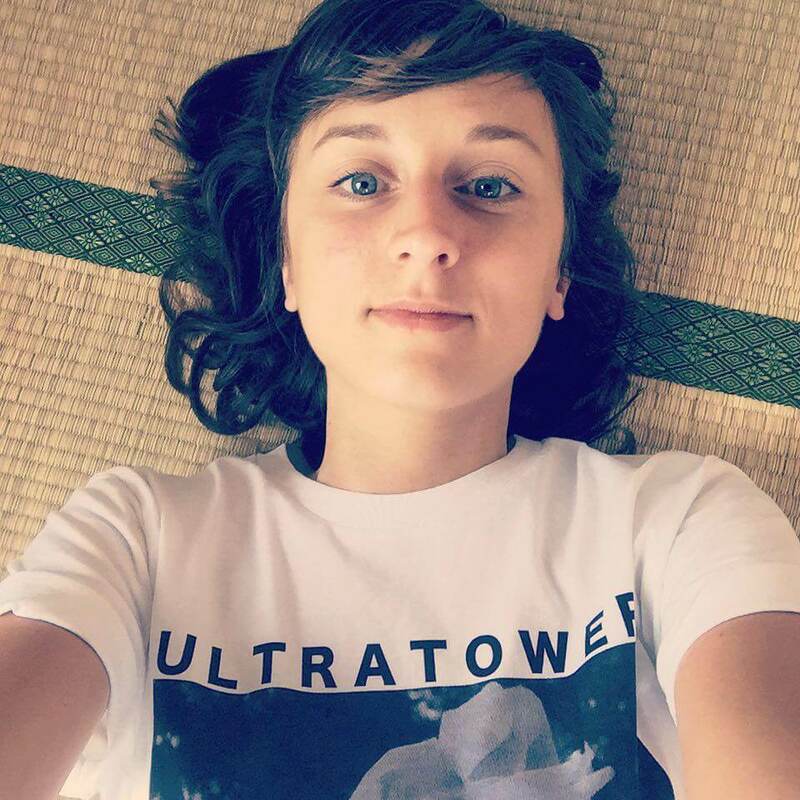 She was born in Paris and instantly fell in love when she visited Japan for the first time. For years, she’s been driven by a strong passion for the Japanese culture, language and food. Addicted to social media, she can’t eat without taking a picture and she’s currently on a quest to find the best tsukemen (noodles) in Tokyo. 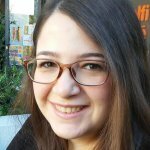 She is also a gaming enthusiast and was working as a Marketing Manager in a gaming company for more than 6 years. 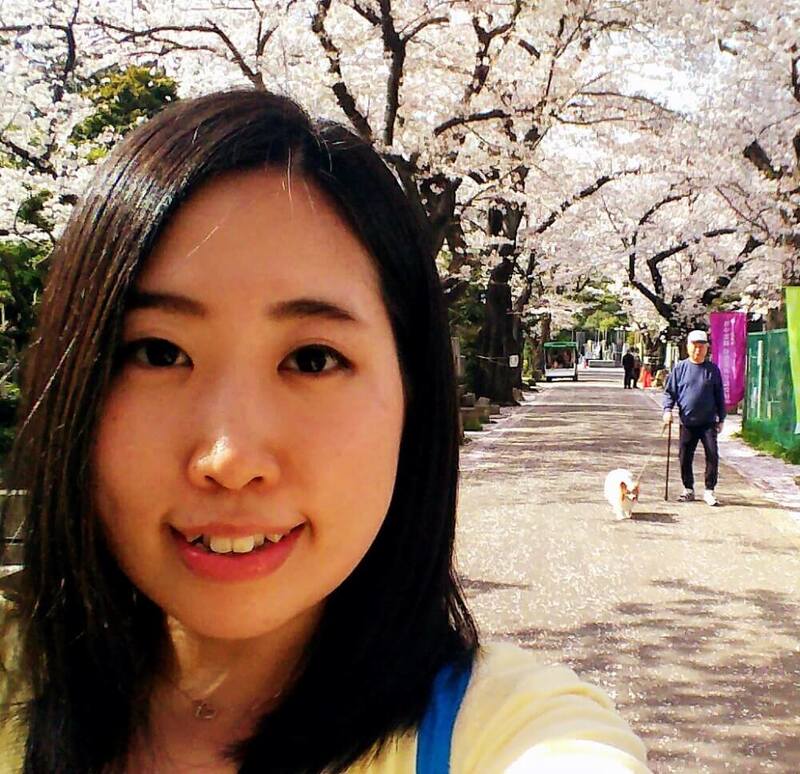 She quit almost everything last year to follow her dreams and come to live in Tokyo. In her spare time she likes to walk randomly to discover new restaurants and places. Yuko has traveled to many countries and worked for foreign companies for many years. She lived in Canada and Australia which she really enjoyed! Yuko likes to communicate with different people and exchange information about culture and food. She also likes watching Rugby and is looking forward to the Rugby World Cup 2019 here in Japan! She knows many nice places in Tokyo for eating, drinking and sight seeing. Please feel free to ask her many questions about Tokyo. She is excited to share her knowledge! Lauren was born in America and is a quarter Japanese and Taiwanese as well as American. She is bilingual and has been studying Japanese since she was little back in the States. As of right now she is studying Global Business and Economy at Doshisha University’s Liberal Arts Program. She loves hiking, exploring new cities, experimenting in the kitchen, writing poems, and listening to musical soundtracks on repeat. Lauren’s favorite Japanese food is comfort food because that is what she grew up tasting so she knows quite a lot about it. She is open minded and loves meeting new people. 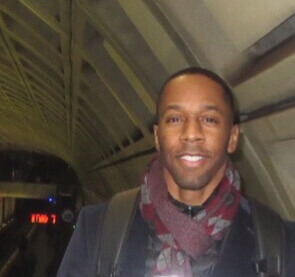 Joshua from our back office, customer service team, is a lover of food, music and travel. He lives in the Philippines, holding a degree in Information Technology. He had a long experience working in the BPO industry which ignited his passion in customer service. His hobby is watching movies and playing computer and mobile games. He is a dedicated guy working hard making sure every guest is happy and well-served. Ryuichi was born in Osaka and later, he moved to Tokyo. He loves traveling and music. He used to have a band and has toured all major cities in japan. Ryuichi has travelled to 21 countries. He has worked at a ramen shop, Italian restaurant, and some different bars as well. So, he is happy to share information with our guests about different cultures and areas in Japan. He is so friendly. So, he will make you very relaxed and you'll be sure to have fun. Akari was originally from Nara and is now living in Osaka. She also has lived overseas in Australia and Canada. Akari loves eating out and finding great restaurants. She also loves dogs, playing the piano, watching movies, and travelling. 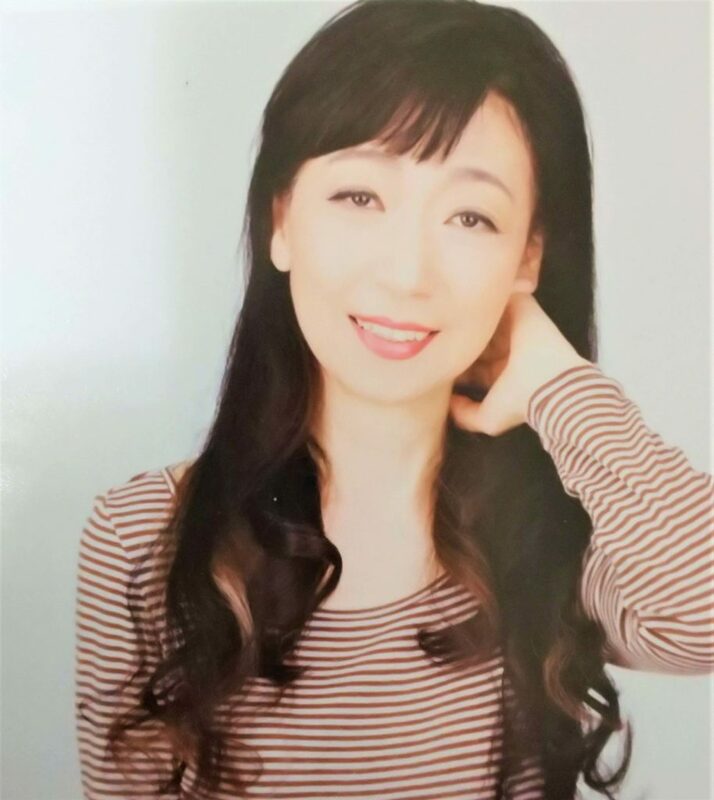 Akari is a friendly person and she is really looking forward to exploring Osaka with you and sharing her love of great Japanese food! Russ is from Wales and is a musician. 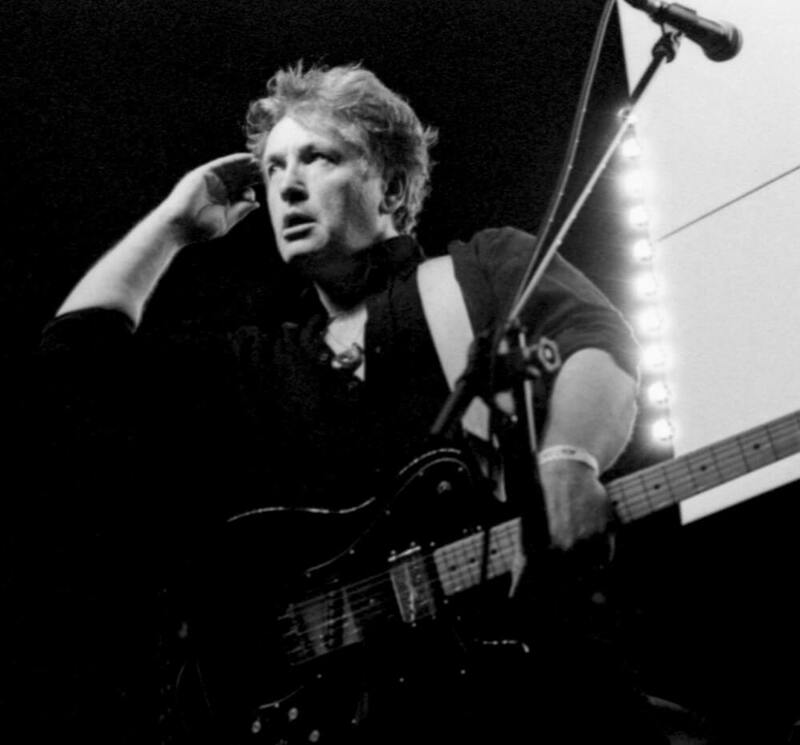 He first visited Japan in 2010 with his band after discovering a record he released in 1980 was selling for 7000yen...and that it had been re-released on a Japanese label in 2002. He has since undertaken 8 tours of Japan and has had the opportunity to sample food from across the country. He regularly plays solo gigs in Dotonbori and Shinsekai. He has lived in Kyoto for 5 years. 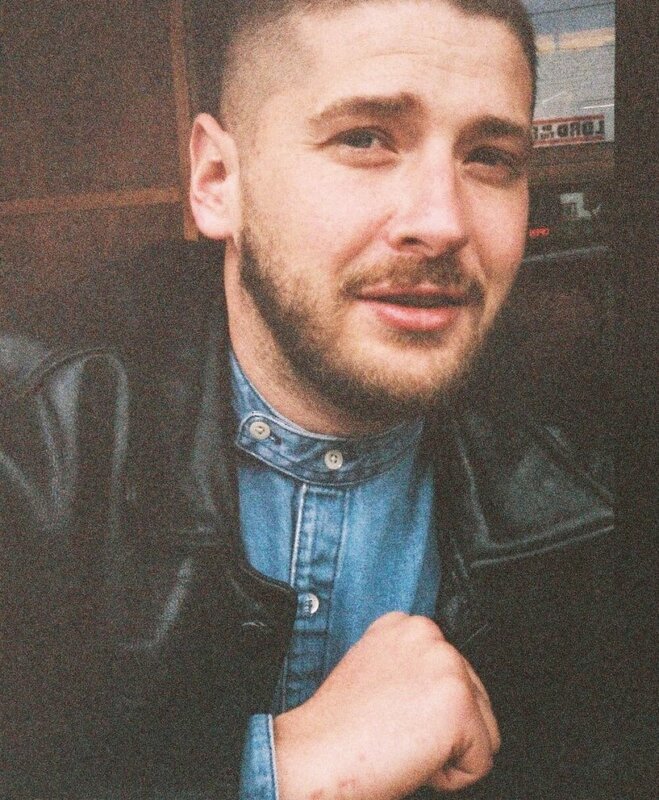 Russ has a Higher National Diploma in Fashion and Textiles, studied landscape architecture at post graduate level and has an MA in Garden History. 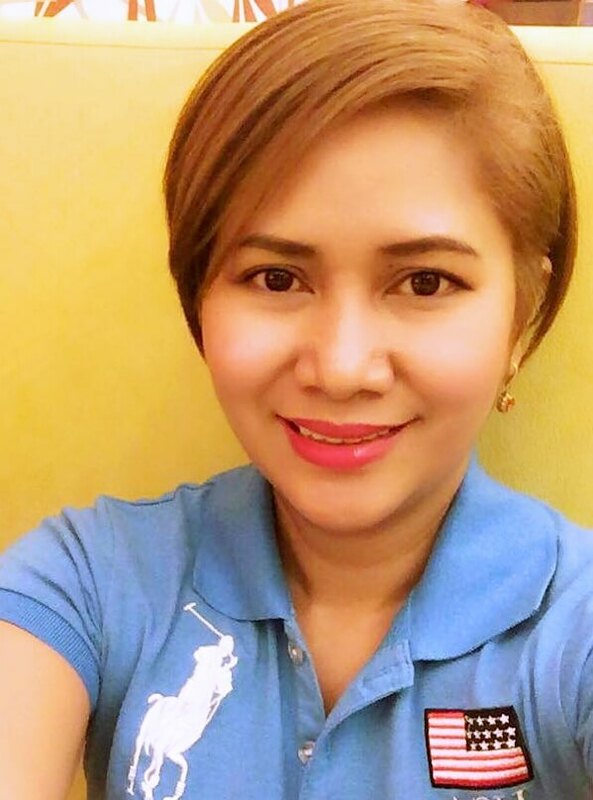 Kristine is our new admin from the Philippines. Being a food lover and a travel enthusiast gives her the opportunity to share her love of exploration. 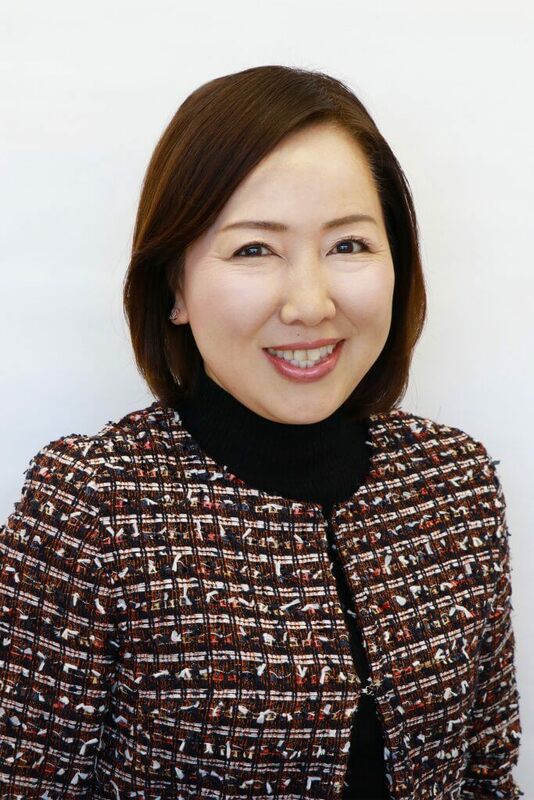 It is also her passion and dedication at work that makes her committed in providing excellent service to clients and will continue to be responsible for the company’s goal in offering the best food and travel experience to our guests around the world by showing Japan’s beauty and culture. Christinna, who is helping with our content team, lived a total of 9 years in Japan with her husband while he did his military tours. She was born and raised in a military family and had opportunities to live in many places. 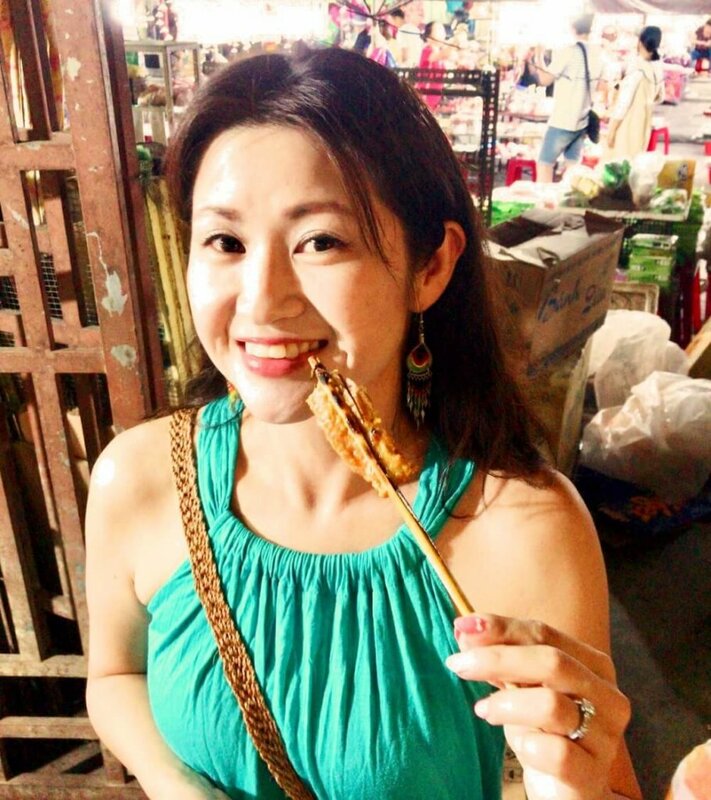 These experiences helped mold her love of food and travel. 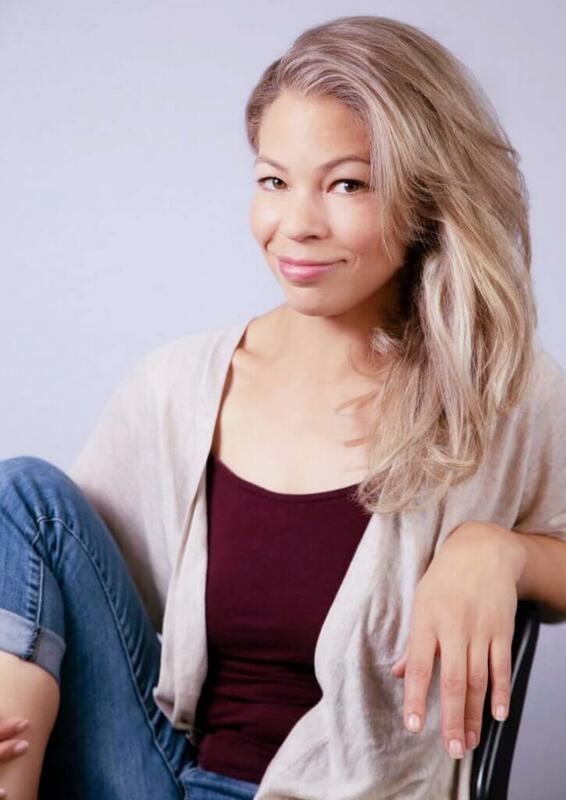 Christinna was introduced to Japanese culture and cuisine at elementary school while living in England; it was then that she fell in love with Japan! She is a mom, traveler, foodie, cook, and writer. 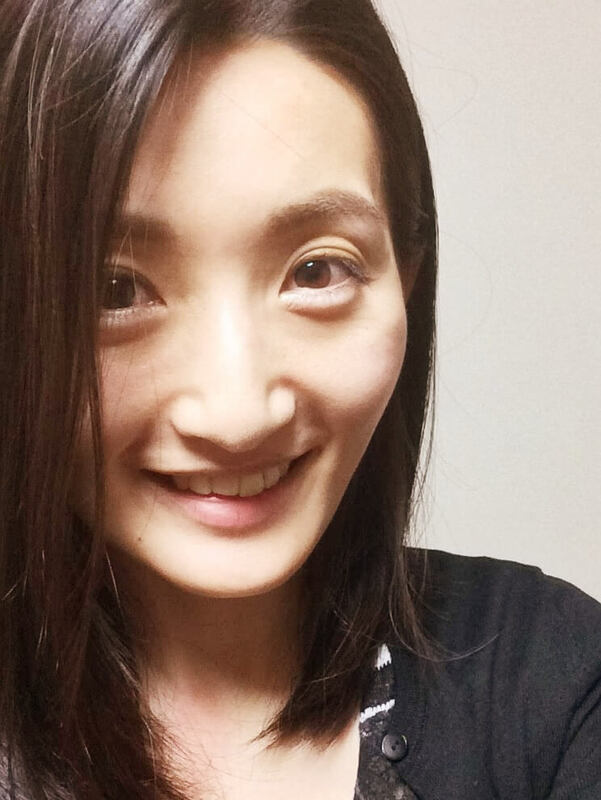 She hopes to help you fall in love with Japan through her writing. 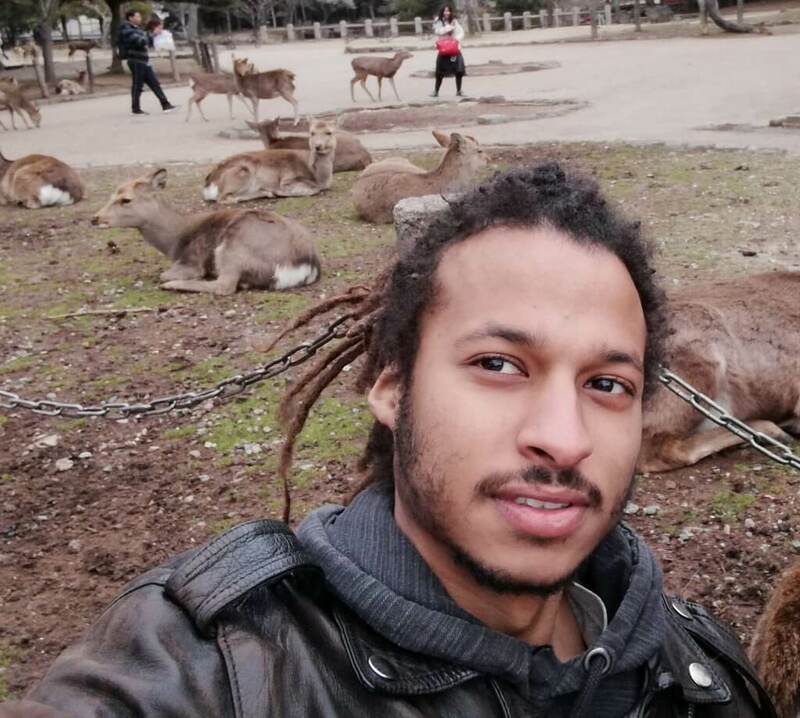 Shaun is an American that is living in Japan to graduate with a degree in Asian Studies. It was thanks to his dedicated service in the Navy that allowed him to follow his dream to live in Japan. Although he is from Texas and misses pecan pies, whataburger, and Blue Bell Ice Cream... an endless supply of Ramen, Okonomiyaki, and tonkatsu has made it easier on him. During his service, he has visited Japan 3 times as a tourist visiting many restaurants and tourist spots in Tokyo and Kyoto. Any questions about great coffee spots or green tea samples should be sent his way. Shaun always looks forward to sharing his enthusiasm about Japanese culture and culinary experiences. Ayaka was born in Hiroshima but moved to Osaka 5 years ago. She often explores Osaka and Kyoto with her husband. She loves exploring all the amazing restaurants these cities have to offer. In her free time she enjoys listening to music, watching movies, and of course, eating Japanese food, especially Japanese sweets! After the kindness and hospitality she experience aboard, she decided that she wants to introduce Japan to others. She can't wait to share her love for Japan with you. Yoko is a food lover. She graduated in nutrition science from Doshisha Women’s College, and in Japanese cuisine from Tsuji Culinary Institute. She believes food has important roles for our lives, which enable us not only to be healthier and happier but also to deepen relationships with others. Besides that, she enjoys meeting new people from all over the world. When she was a college student, she worked as a guide in Nara where she was born and raised, and guided over 200 people. She is open minded and always happy to share her knowledge. Hiro is an Osaka native who has had a unique and varied life having spent 20 years overseas. He has lived and traveled to Germany, USA and Canada and learned to speak German and English along the way. He is a professional artist and painter and used to work as a fashion designer. Hiro has been a “foodie” his whole life, enjoying all the wonderful food the world has to offer. That being said he always loves to come back home and eat in Japan - which has some of the world's best and freshest food. 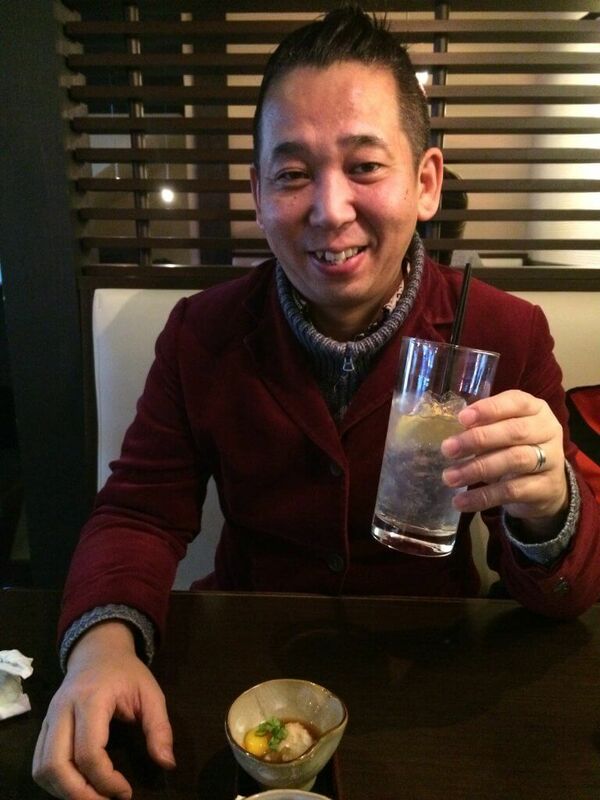 Hiro wants to warmly welcome guests from all different backgrounds to Japanese hospitality and food. He wants to show a special side of Japan that tourists don't usually get to see and experience. 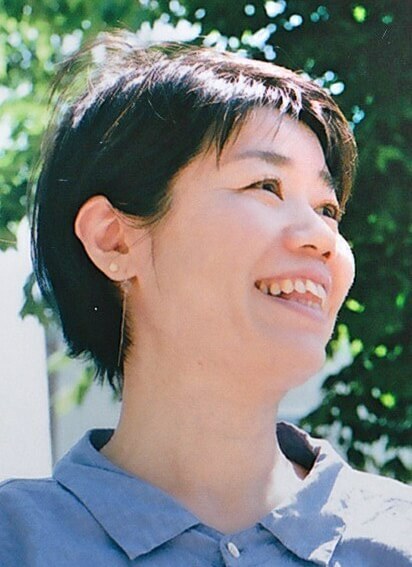 Mayumi Kawakami was born and raised in Japan. She first moved to New York to study at Columbia University. She stayed in America for 35 years, including 3 years in Hawaii. During that time she started a family and worked in teaching. Although Mayumi loved the food in NYC and Hawaii, she fell in love with Japanese food all over again when Mayumi and her family came back to Japan in 2014. She loves to eat out and hopes to share Japanese food with others. Ike was born in Japan, but moved to Boston in 1983 to go to music school. 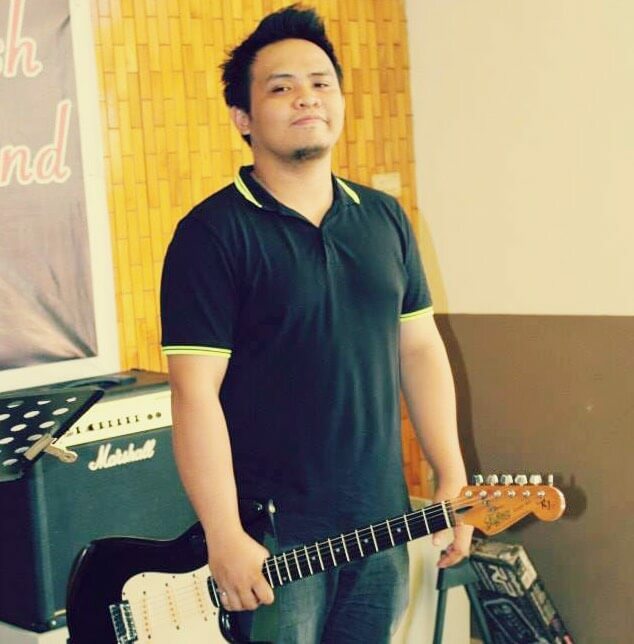 After graduating he played in few bands as a drummer. Around the same time Ike got into the restaurant business. During his 35 years in Boston, Ike was a sushi chef, manager at a Japanese market and owned a restaurant. He is excited to share his knowledge about Japanese food with you! Agustin is a PhD student at Kyoto University. His PhD is in the molecular function of food and he has been researching about food and health for several years. He really enjoys Japanese food, specially ramen and okonomiyaki, but when he wants a treat he will opt for sukiyaki. Before living in Kyoto he lived in Tokushima. There he enjoyed delicious Tokushima Ramen and cycled thought the Japanese countryside. He even cycled the famous 88 temple pilgrimage in Shikoku. 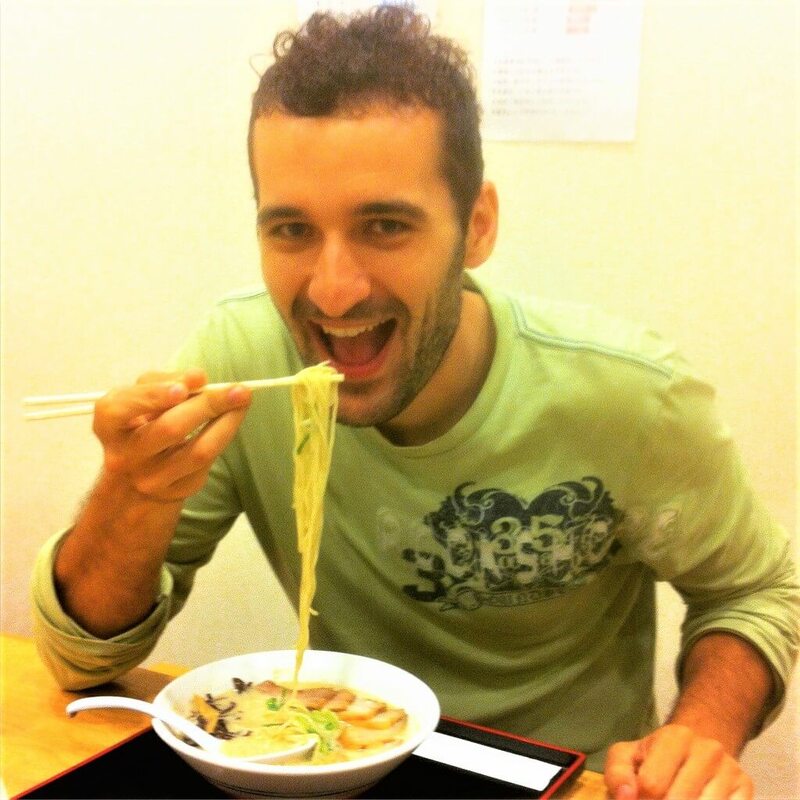 Agustin is excited to show you some of the best restaurants in Kyoto. 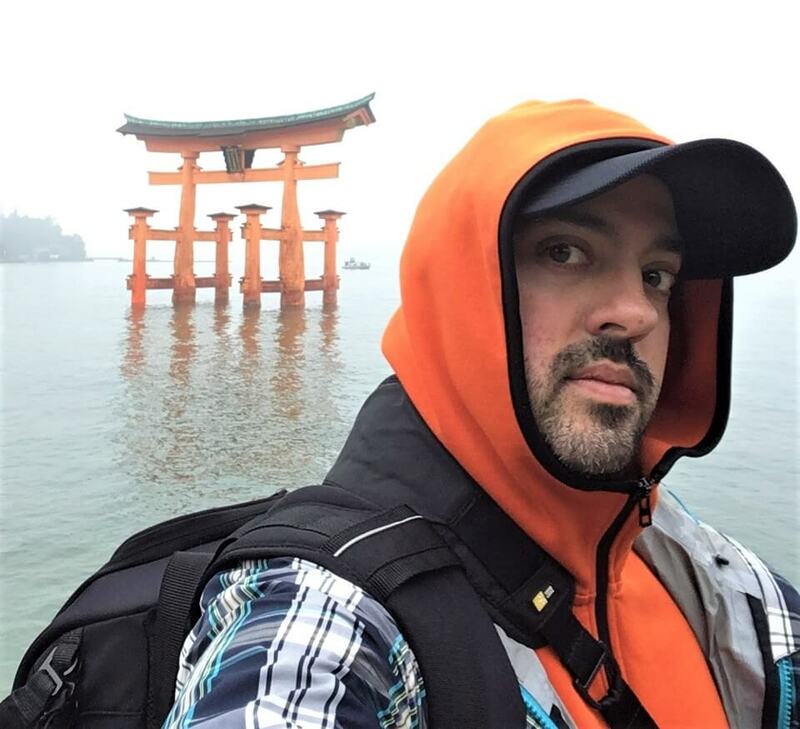 From study abroad to almost permanent resident, Aaron has lived in Japan for almost 10 years. He loves food, obviously, but also is devoted to his wife and son and enjoys playing with his 2 Akita dogs. When he's not doing tours around Osaka, he often climbs mountains and goes to various historical locales around the Kansai region. His favorite food is a toss-up between Okonomiyaki and Takoyaki, but of course he can eat anything on the menu. He looks forward to sharing what he knows about Japanese food with you. Tokiko was born and raised in Osaka. 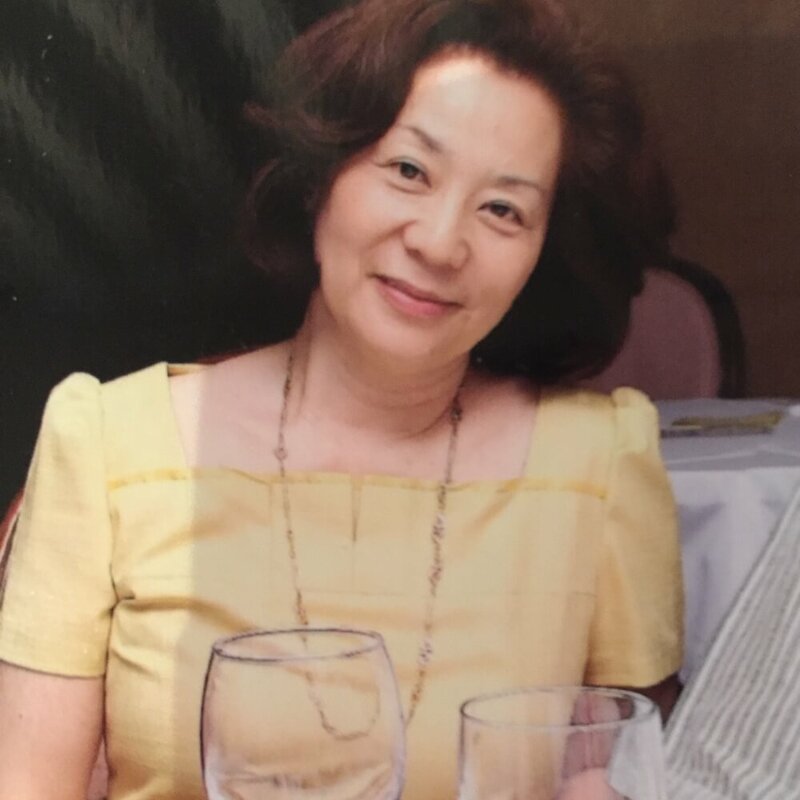 She lived in Switzerland for more than 15 years and enjoyed mingling with the locals by giving Ikebana, Japanese traditional dance and Kimono lessons. Tokiko also loves Kabuki and being from Osaka of course baseball. She is looking forward to helping you learn about the Japanese food that people eat daily. Sharing great food and conversation with our guests is what I love best about working with Arigato Japan. Everyday is an adventure filled with good food and new friends! I love my job at Arigato Food Tours because I can meet new people and I get to see new places. It is fun talking with so many travelers from around the world! Sharing food culture with global travelers is such a powerful experience. It gives me the chance to share my passion for Japan while enjoying a meal with new-found friends.